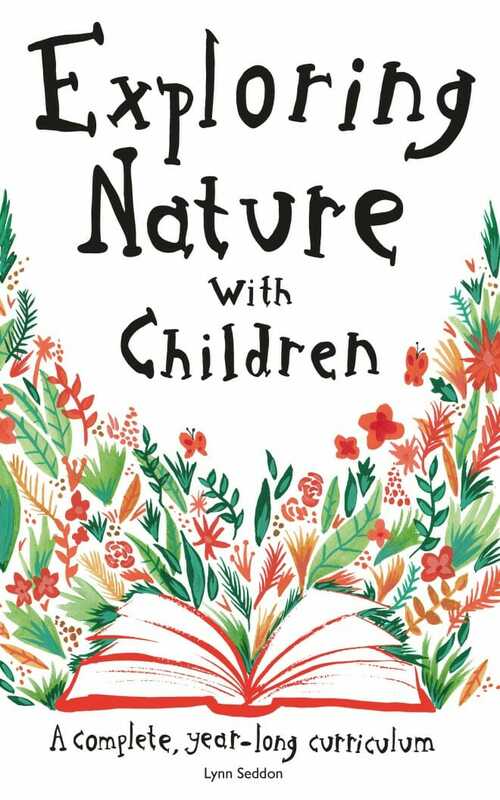 We are a family of nature lovers. Each one of us would prefer to be outside than indoors. We hike all the time. 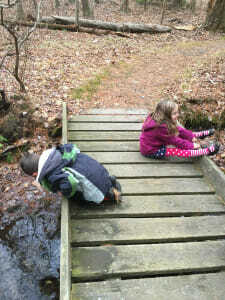 As we hike, we talk and explore and learn. 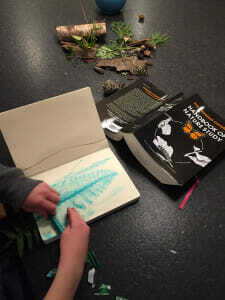 And, sometimes, we come home and do an activity or read a book that is somehow related to the day’s discoveries. But… we don’t do an Official Nature Study. I’ve always wanted to, mind you. I love nature! 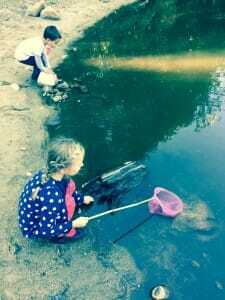 I want my kids to grow to love and understand the plants, animals, and insects that are in our own backyard. But I never get around to actually planning and organizing the Official Nature Study. So, instead, it ends up being a hodge podge of stuff that I find around the house and a quick Google search. And I keep telling myself that I’ll be more organized soon and that soon we’ll have an Official Nature Study of our very own. I always feel guilty that we don’t do something more official over here, especially because we spend so much time outdoors. 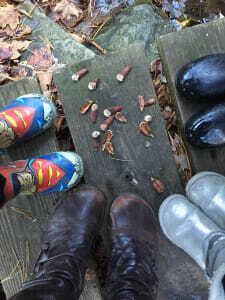 But a few months ago, right around Thanksgiving-ish, my friend Kara introduced to me to a nature study curriculum. And not only is it fun, but it is incredibly easy to use. Today, I’m going to share it with you and tell you why you will love it too. Whether you love to be outside, like us, or whether you know nothing about nature but feel the need to incorporate it anyway- this curriculum fits! 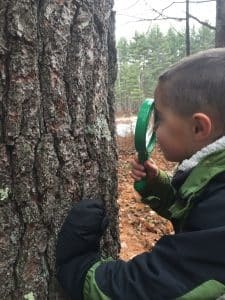 Disclosure: I received Exploring Nature with Children: A Complete Year-Long Curriculum at no cost in exchange for a review. I was not required to write a positive review and, as always, all thoughts and opinions are my own. I only share products and resources that I would use with my own family. 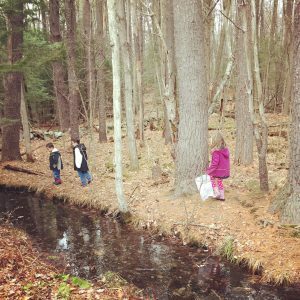 Exploring Nature with Children: A Complete Year-Long Curriculum was created by Lynn Seddon, a fellow homeschooling mom and blogger. It is just what is says: a complete, year-long curriculum. It contains 48 weeks of material, starting in September and continuing throughout the year, but you can jump into the curriculum at any point during the year. We started using it in late November. 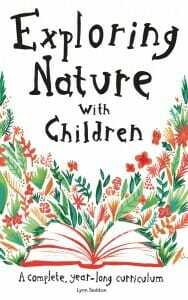 The book is completely self-contained, housing all the information you need to make nature study a part of your family’s routine. 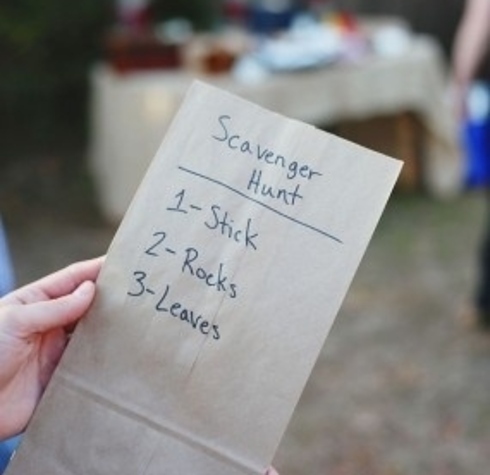 It would work for both those comfortable in nature and those new to nature exploration. Some of the specimens we collected earlier this winter. 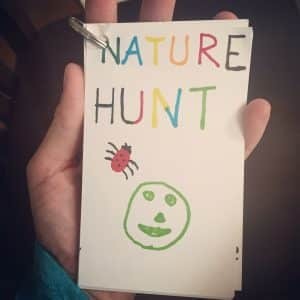 A page for each season, complete with a list of materials required for each weekly nature walk. 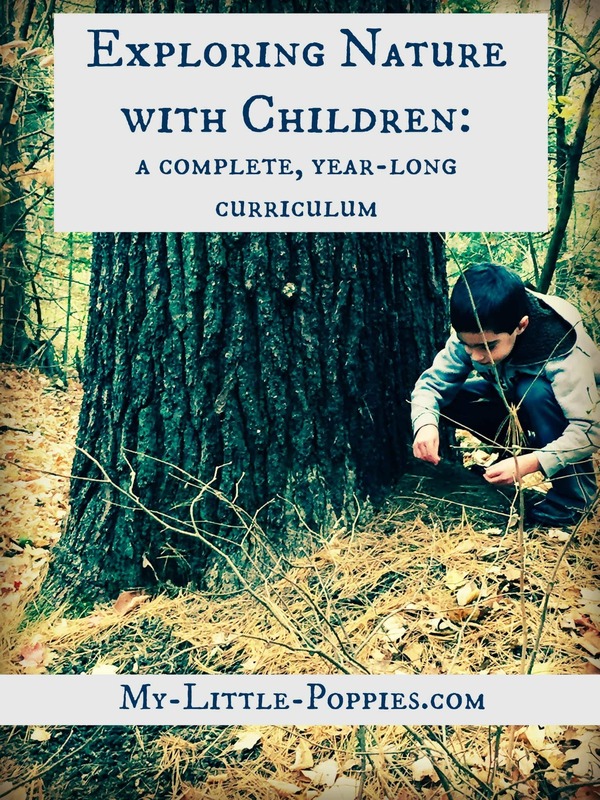 A chapter for each month, including four weekly themed nature study lessons for each month. There are so many things that I love about this curriculum. It encompasses so many of the qualities that I look for when purchasing a curriculum. It incorporates other subjects, such as science, writing, music appreciation, art, and poetry. All I needed to do was to download and print the curriculum and put it in a binder. Then, we were good to go! We started that very day! 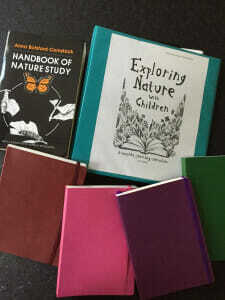 The Handbook of Nature Study by Anne Botsford Comstock (this had been on my wish list forever and it has already become a classic in our home). 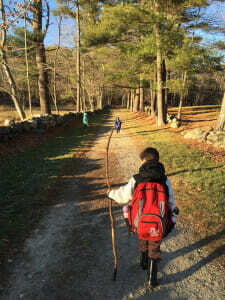 Plus, I made use of our DIY Nature Explorer Packs on each hike. Here’s a confession, guys. Sometimes I fly by the seat of my pants over here. I intend to plan, but sometimes I don’t. What I love about this curriculum is that you can pick and choose what to do each week. Did you forget to pick up the recommended reading for that week at the library? No worries! 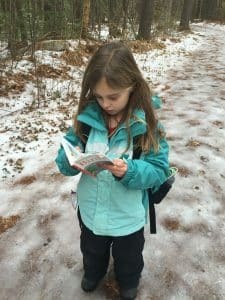 Search the internet for a read aloud of the book (we have such great luck with this), substitute another book on the topic, or skip it altogether and use a different extension activity. AND THIS WEEK WE WILL BE CELEBRATING CANDLEMAS DAY (ONE WEEK LATE!) 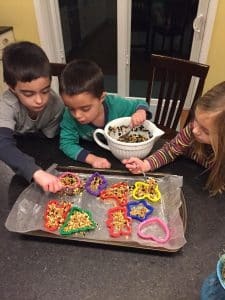 BY MAKING OUR OWN CANDLES! 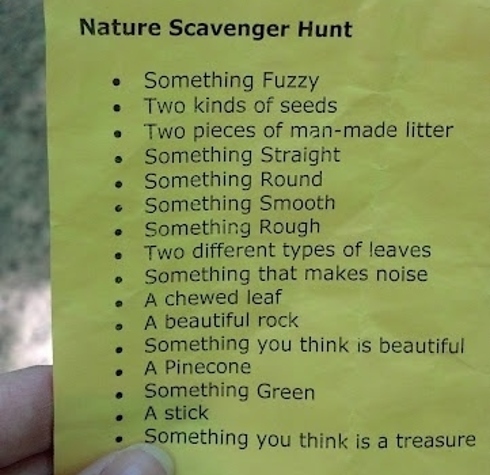 This curriculum even inspired our children to create a nature-themed I Spy game that we pack on our hikes! I’m so thankful that Kara introduced me to such a simple-to-implement, fun, year-long nature study. Our family has enjoyed it every single week since late November. We like it so much that we even brought it on vacation! Well, it’s been a while. I’ve been busy drying herbs for the winter as well as getting my yard in general ready for winter. 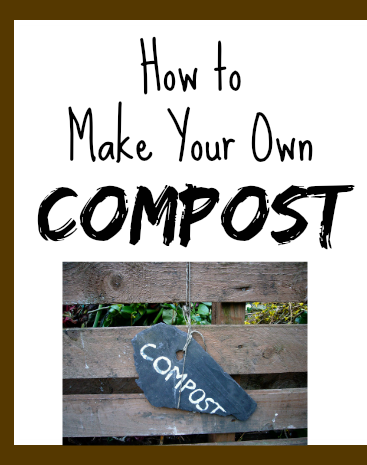 But I have time right now, so I figured I would write about How to Make Your Own Compost. Here is the information on that, in outline form (as a teacher and eternal student, I can’t help it). *dig a hole 2-3 feet deep and unlined. Add compost ingredients until the pit is filled. 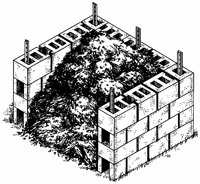 Cover the compost with soil and allow it to decompose. When ready, unearth the compost and use. 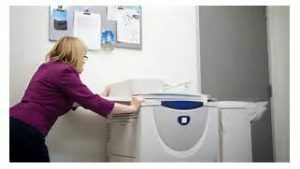 *piles work only if you are diligent about turning your pile and keeping it moist. 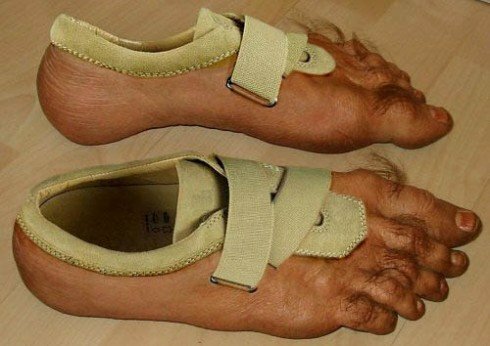 This is not an attractive option but it is the cheapest. *be careful to buy a proper product (organic, etc.). 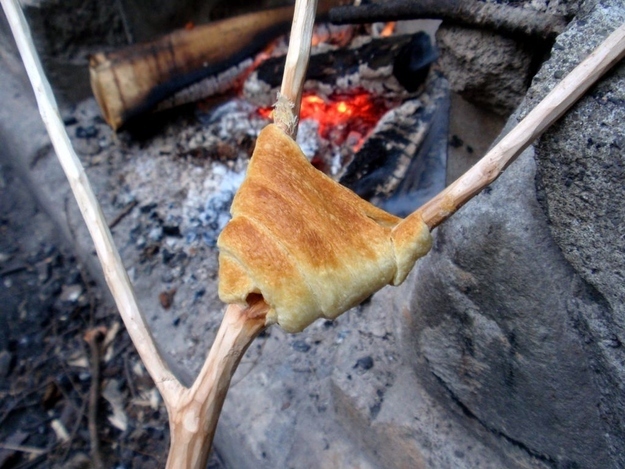 A) Place several small twigs in the bottom of your chosen structure. 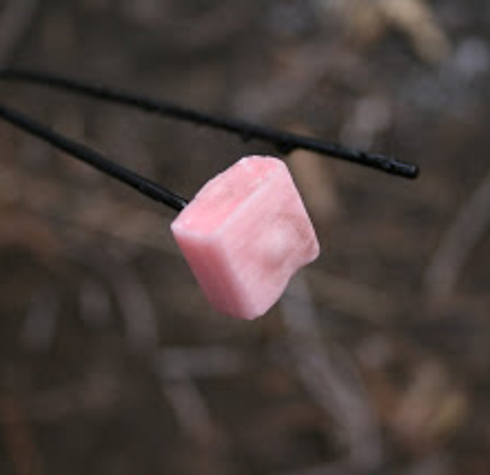 This provides air pockets at the bottom for proper decomposition. 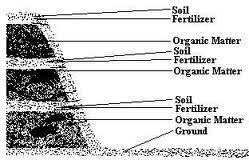 B) Add a layer of soil, about 8-10 inches deep. C) Cover the soil with 4-6 inches of manure. 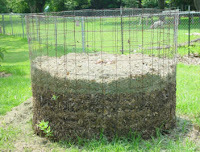 Use whatever type of livestock manure is available to you, but make sure it is from a good organic source. Do NOT use dog or cat manure. The more aged the manure, the faster it will compost. A) You can buy compost activator products from garden shops (like this one). 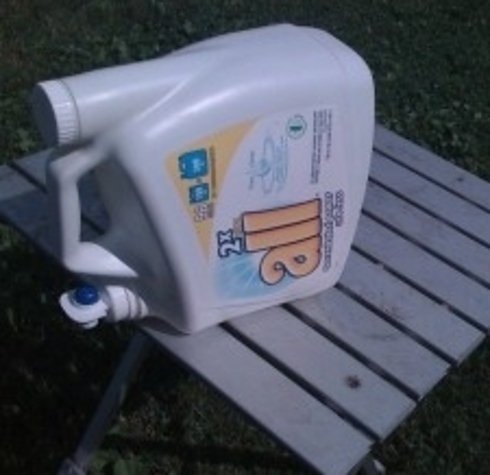 Make a compost tea and add to your compost once every 3 months. Wear gloves while doing this. Also, this recipe makes enough for a 64 cubic foot compost pile. 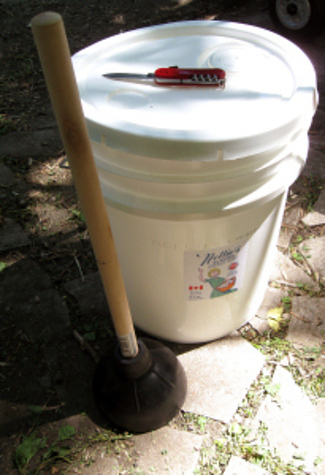 Put all ingredients into a 5 gallon bucket and fill the bucket with water. Allow the mixture to sit in a warm place for 4-8 hours. Pour all contents of buck into the compost pile. *Turn your compost once a month in warm and hot weather. In colder months, turning is less crucial. Turn with a shovel or a garden fork. The goal is to flip the pile. As you turn the pile, you may find a small amount of rich, dark brown soil at the bottom. This pile of compost is ready to use but may also be mixed into the pile for later use. *This is an important part of the compost’s quality. The compost should stay evenly moist, NOT soaking wet or dried out. Simply water with a hose as evenly as possible. *Once the material is ready for use, apply 1-3 inches to the top of your garden soil. Work it into the soil until it is well mixed. 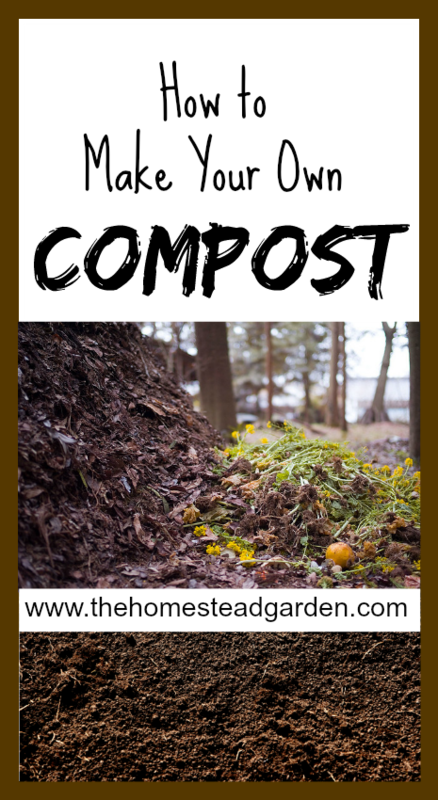 It is ideal to add the compost in the spring, but you can really add it at any time. After mixing it into the soil, water the garden thoroughly. Enjoy the healthy plants that this compost will surely help you get! If you’ve ever been out in the woods and gathered the little burrs on your socks that annoy the crap out of you, you’ve encountered burdock. Those burrs are the seeds of the burdock plant, and are actually the inspiration behind the invention of velcro! While you wouldn’t want to eat the burrs, the root of the plant is quite edible. Soak the roots in water for 5-10 minutes to remove any muddy, pungent taste, and then boil them for 5-10 minutes (in clean water). They have a mild, sweet flavor. Dried burdock root is also considered a diuretic (increases urine production), diaphoretic (increases sweat production), and a blood purifying agent, and has been used as a holistic detoxifying agent for those reasons. Also called “chickenwort” or “winterweed,” chickweed is a cool season plant found throughout most parts of North America and Europe. It can be eaten raw in a salad or cooked like spinach. You can eat the leaves, flowers and stems, though you should probably cook the fuzzy stems. Chickweed also contains a chemical compound called saponin, and can be toxic if eaten in large quantities, so eat it sparingly. 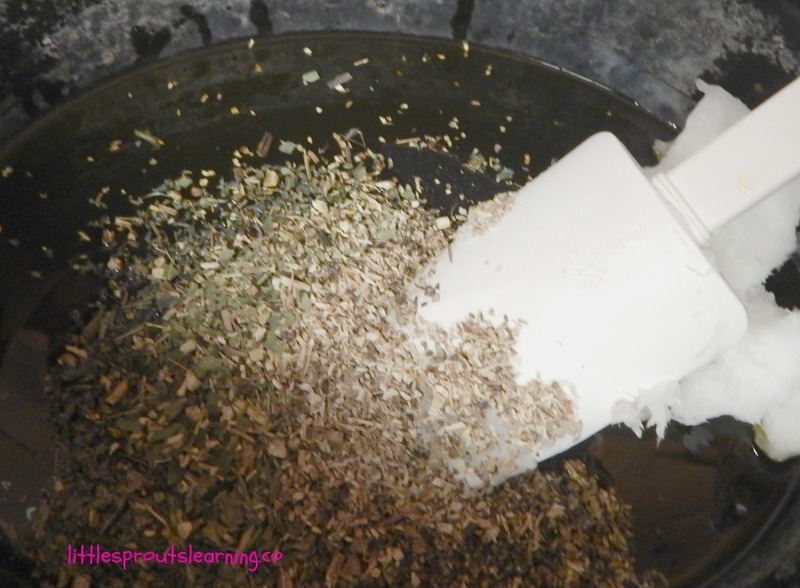 It has been said that the plant has been used to relieve rheumatic, arthritic and period pains, and a poultice made from chickweed can be used to help heal cuts, burns, bruises and even mange. Elderberry plants are members of the honeysuckle family and can grow up to 13 feet tall. Their berries and flowers grow together in clusters. The blue and purple colored berries are edible, but the red berries will make you sick. The white flower petals can also be eaten raw or steeped into a fragrant tea. You can also take the entire flower cluster, dip it in a tempura-style batter, and fry the whole thing. 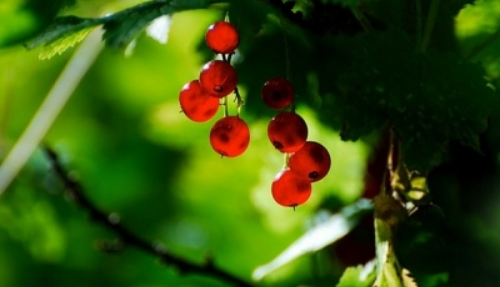 The berries and flowers are also used in herbal cold medicines. Fiddleheads are quarter-sized green offshoots of the fern plant. They can be found in the wild primarily in the Northeast and around the Great Lakes region of North America. Left alone, they will unfurl as a new shoot from the plant. A word of caution – fiddleheads contain a mild toxin that will cause a severe upset stomach. However, cooking the plant will kill the toxin and make it safe to eat. Boil for 5 minutes or steam for 10, then sautee. Fiddleheads taste like a cross between asparagus and fresh green beans. While it can be found in many planted landscapes, lavender can also be found in the wild. It has a sweet, perfumy flavor with a slight notes of citrus and can be eaten raw or steeped into a fragrant tea. 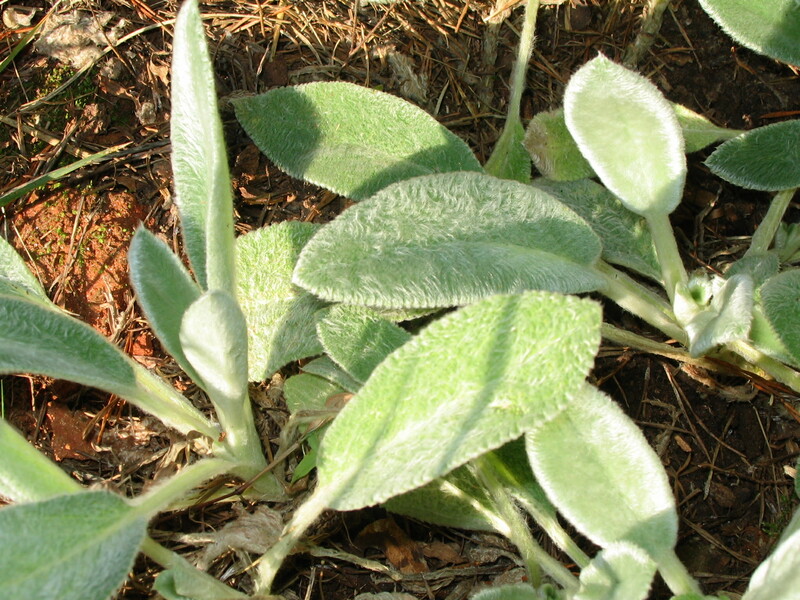 Lavender is often used in cookies, jelly, wine, sauces, and custards. The blossoms are also a sweet addition to champagne. Lavender has also been used for restlessness, insomnia, nervousness, depression and a variety of digestive issues. Miner’s lettuce got its name from the Gold Rush miners who (after learning the trick from the local Indians) used to eat the wild plant to stave off scurvy. Reminiscent of spinach, the plant is chock full of vitamins, deliciously crunchy, mild-tasting, and remains tender even when in flower. Although pictures usually show miner’s lettuce with a round leaf with a flower stalk in the center, early in the season the leaves are more likely to be spade-shaped. Eat the leaves raw. 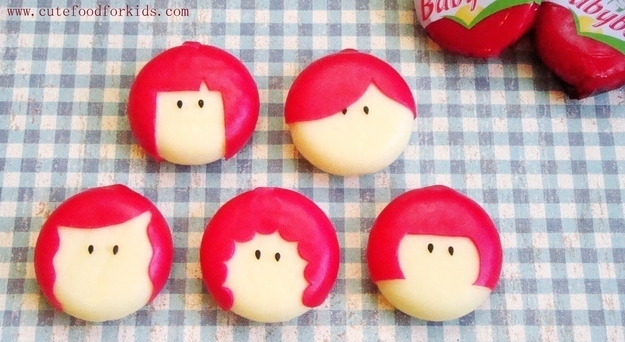 It’s so delicious, there’s no reason to do it any other way. Also called “swamp cabbage,” palm hearts are harvested from the inner cores of palm trees. Palm hearts are rich in protein, iron and fiber. They can be eaten chilled in salad, braised,deep-fried, stir-fried, sauteed or boiled. Pale in color, palm hearts have a tender, delicate flavor, similar to a mild artichoke or coconut. Many upscale restaurants around the world serve hearts of palm fresh, crispy and crunchy in mixed salads and also prepared with seafood. To get to the edible palm hearts, simply peel away the outer layers. I say “simply”, but to be quite honest, I’m sure it’s not very easy to do. Most people, especially in the Southern US, know all about pecans. If you’ve ever seen a pecan, even on top of a pie, you’d easily recognize one again. Harvesting pecans that have fallen to the ground is pains-taking, back breaking work, but is so worth it in the end (trust me – I’m speaking from lots of experience). Once found and broken free of their hard outer shell, pecans can be eaten raw. If they have a slight bitter taste, they probably don’t have all of the inner shell removed, but it’s nothing to worry about. You can also roast pecans over a fire to enhance their flavor and bring out some of the natural oils of the nut. Nettles usually appear in the same places year after year. They are covered with tiny, nearly invisible stinging hairs that produce an intense, stinging pain, followed by redness and continued skin irritation. However, if you find them and can harvest them without getting “stung”, these plants are edible. Once cooked, they lose their sting as the hairs are cooked off of them. They can be steamed, boiled or sauteed. They are full of vitamins and minerals, and are actually a decent source of protein, too! They have a very mild woodsy flavor. Wild ginger grows in colonies on forest floors underneath trees. The leaves grow in pairs, and are heart-shaped and have the appearance of ivy. During the early spring, you may find flowers growing from the crotch of the leaf pairs. These flowers are very unique and have no actual petals, but are burgandy in appearance. The roots of the plant can be eaten as a ginger substitute and the leaves can be steeped into a tea. HOWEVER- eat wild ginger in strict moderation. Do NOT eat it by the handfuls as there is a slight toxic quality when eaten in large quantities. Think of it more as a seasoning for your wild edible salad instead of a main ingredient. WARNING: Identification and use of wild plants requires particular care and attention. Never eat any plant unless you are absolutely sure that it is edible! It is a good idea to cross-reference your knowledge with a book written by an expert. The information in this article is for educational purposes only. It is not intended as a substitute for medical advice, diagnosis, or treatment. The author assumes no responsibility whatsoever for any adverse effects encountered by the individual. 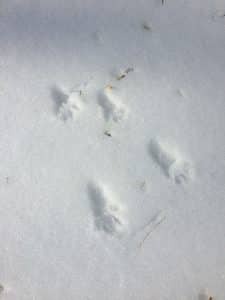 Please harvest wild edibles at your own risk! As with any foraged food, make sure the plant has not been sprayed with any chemicals and is not growing anywhere that toxic waste is dumped. Try to avoid plants grown too close to the roadways as they tend to contain too much dust and automotive exhaust. In the sad aftermath of the Orlando shootings that killed or injured more than 100 people, it has become clear to me that we’re in for a rough ride for the foreseeable future. You might think that the “success” achieved by Omar Mateen in executing his terror event was a fluke. The sheer number of casualties was the most ever on American soil. The complexities of Mr. Mateen’s relationship with the community, having apparently visited the PULSE nightclub on multiple occasions, must make this a rare circumstance, right? Wrong. The shooter’s assessment of his target as being a “soft” one was deadly accurate. A crowded venue, maybe all in one large room with limited exits, some allegedly padlocked. At 2 o’clock in the morning, many club goers must have had some drinks, and weren’t exactly in a condition to be situationally aware. Likely, no one was armed. It was a massacre and, worse, a blueprint for massacres to come. Those who support Mr. Mateen’s philosophy will look at this event and marvel at how much damage a single gunman can do. This can only encourage others of like mind to do the same. How many nightclubs are there, gay or straight, that’ll be crowded on a Saturday night in the average city? How many club goers will be ready for the next gunman? How many establishments will act to boost security in the face of this horrible tragedy? I’ve answered these questions myself, and I am saddened. The Islamic State giving credit to this terrorist will seem like a badge of honor to those who wish us harm. They see cowardly acts as courageous. They see mayhem as morality. They know that most Americans have gone soft, and that’s a hard truth. The natural response for most people is to do nothing. You’ve heard me talk about “normalcy bias” before. That’s the tendency for people to believe everything follows a pattern and that the day will proceed normally because it always has. 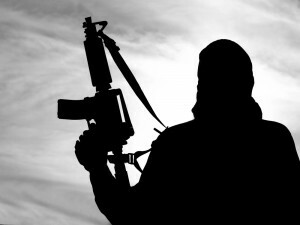 When a terrorist event breaks that pattern, however, the unprepared brain takes time to process the new situation. People will think that the sound of gunfire is fireworks, or anything less threatening than an assassin out to kill them. A person without a plan of action typically follows the herd. If fifty people around you drop to the floor, your natural tendency is to do the same. Cowering in fear under a table in plain view of the shooter isn’t a recipe for a good outcome. But having a plan will give you a better chance of getting out of there in one piece. During an active shooter event, what you do in the first few seconds may determine whether you live or die. Give yourself a head start by always knowing what’s happening around you. We call this situational awareness. Know where exits are. Know where the gunshots are coming from. Know who appears nervous or suspicious in your immediate area. Sounds simple, doesn’t it? But in this era of people immersed in their smartphones, few are situationally aware and become easy targets for the active shooter. If you find yourself in the middle of a terrorist event, you should remember these three words: Run, Hide, Fight. Just as “Stop, Drop, and Roll” can save the life of someone on fire, “Run, Hide, Fight” might save the life of someoneunder fire. This is the order of the actions that you should be taking in an active shooter scenario. Most people will hide as their first course of action. You, however, should run away from the direction of gunfire immediately, leaving through those exits you’ve been mentally marking. This will make it less likely you and the shooter will cross paths. Forget about collecting your stuff, it will only slow you down and, let’s face it, it’s just stuff. A kind of paralysis may occur when you first realize what’s happening. This is normal, but running away from the shooter increases your distance from them, and makes it difficult for them to hit a moving target. A good citizen would yell for others to follow and prevent others from entering the kill zone. Don’t try to move or otherwise help the wounded, however. You have to get out of there; becoming the next casualty does no one any good. Even the police will leave the injured for after the shooter has been neutralized. Once you’re in a safe area, call 911 if rescuers have not yet arrived. If there’s only one exit and the shooter is standing in front of it, running might not be an option. Your next choice is hiding. You have to get out of the shooter’s line of sight, but hiding under a table in the same room as the shooter is a very bad idea. Get into another room, preferably one with a door you can lock. If there is no lock, put together a barrier with desks and chairs. Turn off the lights, silence your cell phone, and stay quiet behind an additional barrier like a table or in a closet. If you can quietly alert authorities, do so. By accomplishing the above, you’ve just made yourself a harder target to acquire for the shooter, and he wants to do his damage as fast as possible. He’ll likely pass you by to find easier targets. What if you can’t run, and there is no reasonable hiding place? You just might have to fight your way out of there. This strategy isn’t always doomed to failure. You still might be able to drop an attacker even if unarmed. Three unarmed men were able to do it to a shooter on a train in Paris. It’s a last resort, but it can work; it did there. If you don’t fight, the shooter will have a clear shot to your head and death is likely. If you fight, you’ll be harder to hit with a fatal shot. Any type of aggression against the gunman would disrupt their “flow” and possibly put you at an advantage. If you can, approach him from the side or rear, and go for his weapon. If you have help, all should attack at the same time from different directions while hurling objects that he has to dodge. At the PULSE nightclub, there were probably drinking glasses and bottles handy, not to mention hundreds of cell phones. The gunman is probably not James Bond: he’ll duck or flinch and not be able to handle multiple threats at once. Imagine a half-dozen people charging you while throwing stuff at your head. Makes for a pretty nervous terrorist, I’d say. If you’ve disrupted the shooter or, better, gotten the weapon out of his hands, inflict damage on him until he is out of the fight. Tough, I’ll admit, but these are tough times; commit to your actions. Luckily, few people will find themselves in the midst of a terrorist attack like the one in Orlando, but you can bet more are coming. Having a plan for active shooter situations is galling to some, but it’s part of life in the New Normal. Those who are prepared will have a better chance to survive terror events and many other disasters in the uncertain future. When it comes to storing food long term, the age-old question keeps coming up: freeze-dried or dehydrated? Both can work as part of your emergency food storage, but there are key differences between the two that could make one better than the other for your particular circumstances. Check out these differences and then choose the option that’s best for you. Moisture content plays a huge impact on shelf life. The more moisture, the less amount of time it will last. With that in mind, it’s time to compare the moisture content of dehydrated and freeze-dried food. Dehydrated food can lose quite a bit of moisture–up to 95 percent! However, do-it-yourself home dehydrators may only remove 70% or a food’s water, leaving it with a shelf life of only one year on average. However, most top end dehydrated food will still maintain a shelf life of even longer, up to 15 years or more. 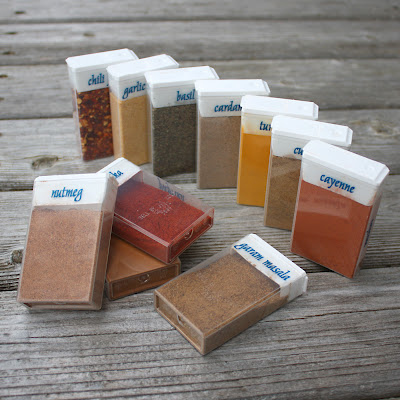 Freeze-dried food, on the other hand, is much more suitable for long-term storage. Getting rid of 98-99 percent of moisture gives freeze-dried food a much lengthier shelf life. Our freeze-dried food has a shelf life of 25 years or more. While both dehydrated and freeze-dried foods can have long shelf lives, freeze-dried food is definitely superior when it comes to long-term storage. In both cases, however, cooler temperatures will help lengthen their shelf life. 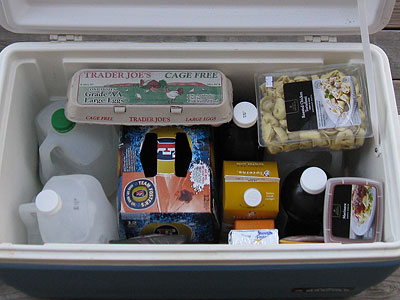 We recommend storing your food in temperatures below 70 degrees Fahrenheit. Freeze-dried meals prepare easily. Since everything is pre-cooked, all you need to do is add water, wait a few minutes, and your food is ready for eating! Best of all, it tastes just like it did the day it was created (which might very well have been 25 years ago). Dehydrated food is a touch different in the way it’s prepared. Instead of letting your food soak for a few minutes, it needs to be cook—boiled, even—in order to rehydrate enough to become the food it used to be. This can take upwards to 20 minutes, depending on the food. While it’s not a huge issue, it can make a big difference if you’re in a hurry. According to a food science professor at UC-Davis, freeze-dried food maintains most of its nutrients throughout the process, and once rehydrated, is very similar in nutritional value to its fresh counterpart. This is in contrast to dehydrated food which, although much of the nutrients remain, only around 50% – 60% of the original nutrients are left over. 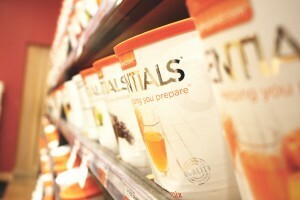 In freeze-dried food, there is about 97% of retained nutrients. In this area, freeze-dried food comes out on top. Flavor is important in your food. If it doesn’t taste good, why would you even want to eat it? Fortunately, both freeze-dried and dehydrated foods taste great, but there is a difference in the way it’s prepared that makes one taste better than the other. According to the Wild Backpacker, the taste of freeze-dried food is essentially held in the food, as the process involves very little heat. This keeps in the flavor, retains original texture, and secures the natural scents. This is why many believe freeze-dried food tastes better than dehydrated food, which uses heat to lose moisture, thus forfeiting flavor, original texture, and smell. 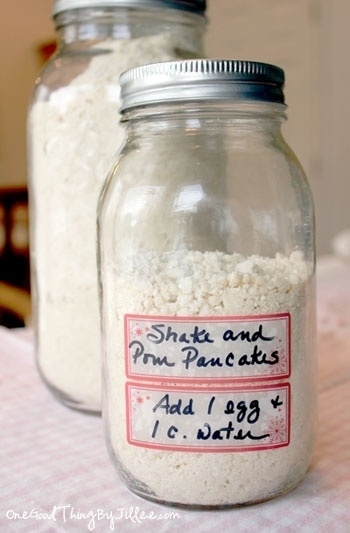 If your food intends to stay in your pantry or with your emergency food storage until used, then weight won’t really be an issue. However, dehydrated and freeze-dried food are delicious treats and meals to take on camping trips, hikes, and even in your bug-out bag, which in turn makes weight play a crucial role. Dehydrated food is heavier than freeze-dried food, so if you are planning on taking one of these types of foods with you on a hike, freeze-dried food is your best option in terms of being lightweight. If you’re planning on getting a meal out of your food, you’ll want to make sure you either bring enough water or have access to it so you can rehydrate your meals. Many freeze-dried foods, such as fruits, vegetables, and even meats, can be snacked on without rehydrating them, making them a nice, lightweight option for snacking. There are pros and cons to both dehydrated and freeze-dried food, so in the end it all boils down to what you’re looking for in a food, and how you intend to use it. When it comes to long-term storage and nutrients, however, freeze-dried food reigns supreme. So when you’re looking to invest in an emergency food storage, freeze-dried may very well be the way to go. One day as I was doctoring up one of my kiddos, the thought crossed my mind, “What if I couldn’t get any more of these band-aids? What could I use?” This question prompted me to delve into my herbal books and scour the internet for an answer. And I found a good one. 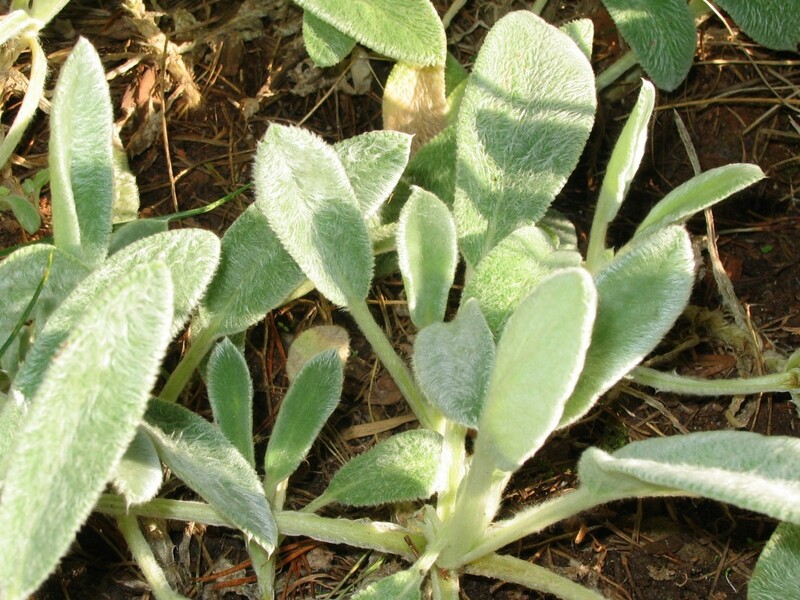 Young Wooly Lamb’s Ear settling down for the winter. Drink a tea made from young, dried Wooly Lamb’s Ear leaves to help with fevers, diarrhea, sore mouth and throat, internal bleeding, and weaknesses of the liver and heart. 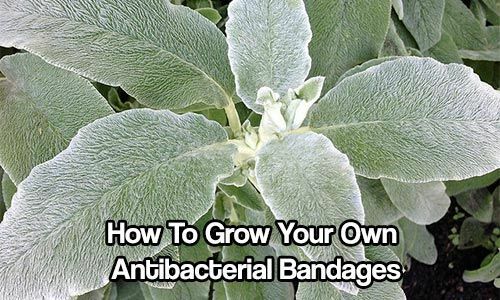 If you don’t have any of this important medicinal plant growing around your home yet,get some. If you can’t find any plants locally, buy some seeds and grow them yourself. It’s super easy, and much cheaper that way anyways. 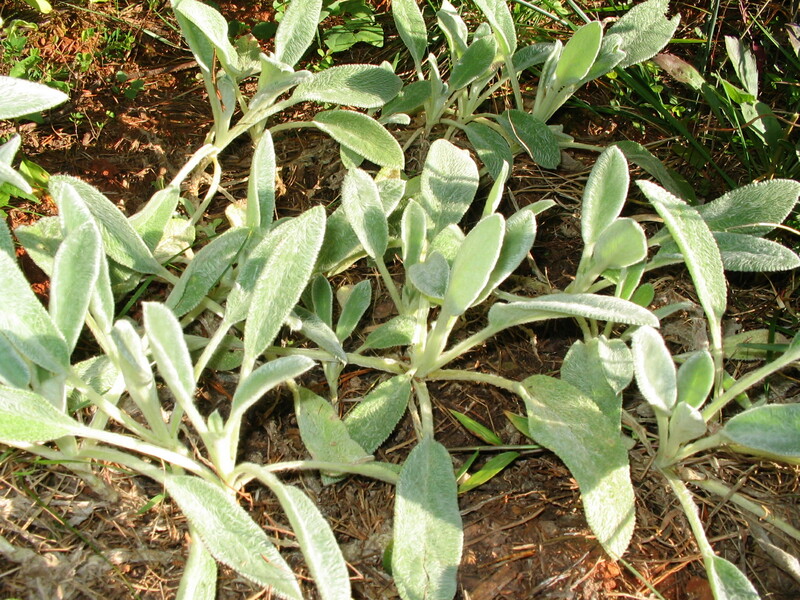 Lamb’s Ear make a gorgeous landscaping border, and grows well in containers. 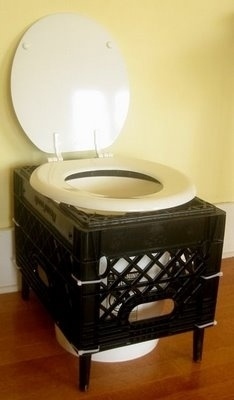 Plant as much as you have room for, ’cause it’ll come in handy when your stash of tp runs out! Fitness has a new category now-Tactical Fitness. The fitness programs for Military, Police, Fire Fighter, and Special Ops have all been clubbed under one category known as Tactical Fitness. This has become so popular that training associations like the National Strength and Conditioning Association (NSCA) have a certified program for Tactical Strength and Conditioning (TSAC). So, this new category will see an upsurge unlike other concepts, such as boot camp workouts, which have lost their ground over time. The following article highlights this new genre of fitness along with a fine line difference between the tactical fitness and regular fitness. Tactical Fitness is more about work and not workouts. It is not designed for having a good workout but for facing real life situations like lifts, carries, crawls, runs, rucks, swims, and mobility, even situations which demand logical and innovative thinking. It makes use of non-traditional tools and equipment for carrying up unbalanced loads. Tactical Fitness is more about handling life and death situations for you, your buddy, or anyone whom you are trying to help. And such situations not only demand physical fitness but mental alertness and readiness to act and not react in stressful situations. Tactical fitness demands you to be a team player as well. You need to coordinate not just between your body and mind but also with your buddies to handle the situation. Better your workout, better you will be at the real-time situation. Speed and Endurance – It includes running and gradually improving pace. Vigor and Power – It includes lifting of various equipment, gear, and even people. Flexibility and Mobility – It includes moving over uneven terrain and between the obstacles. Muscle endurance – This includes moving yourself and gearing up, over, under, and through space. 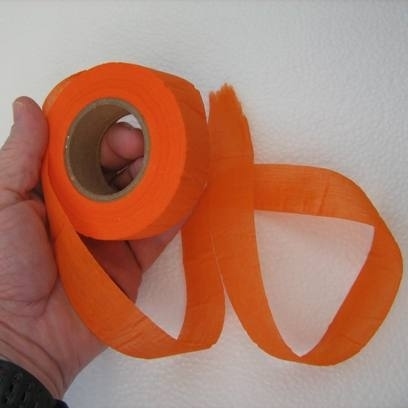 Old Man Grip – This includes holding gear, climbing over the mountain or rope. Other Skills – This includes learning to swim, river crossing etc. Incorporating these elements into your daily workout routine will better prepare you for real situations. Systems like TACTFIT Commando and Girls Gone Strong offer structured workouts based on tactical fitness. Read on for more information on these programs and to find out how to get started now. Although you will attain a level near to perfection with these fitness elements, it is natural to have weaknesses. So, you need to determine the weaknesses and work upon them to achieve an excellence in them. 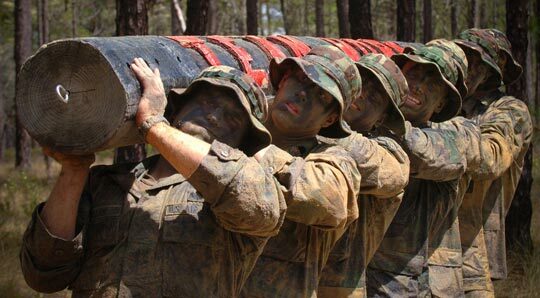 Being a Tactical Athlete and getting trained for all of these elements is not going to land you among the strongest or fastest persons in the country, but you will develop a good level of strength, endurance and stamina- all of which come into play in survival situations. An advanced Tactical Athlete can easily do 20 pull-ups and dead lift twice his body weight of 200 pounds and still can run for several miles. Even after such exceptional numbers, a Tactical Athlete may still be beatable by a cross country runner but maintains an upper hand in strength events. There are many fitness elements that are not even in the dictionary of a normal athlete but a Tactical Athlete is a master of all those fitness points. There are particular stages of training for a Tactical Athlete. The aspiring candidates have to be exceptionally good to grab a chance for these public service professions. The typical fitness tests includes: pull-ups, push-ups, sit-ups, 1.5 mile runs, and sprint or swim test. 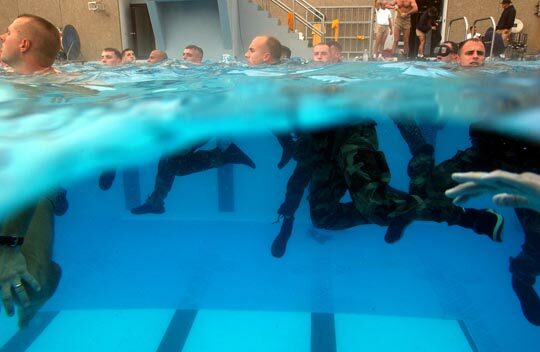 Training and active-duty scenario are entirely different worlds in a career of a Tactical Athlete. The training years prepare you for jobs that demand running, swimming, diving, lifting, etc. Maintenance programs include conditioning programs that make you strong, fast, well-conditioned and flexible. Learning about periodization is the key to arrange workouts that can help you to cope with the demands of job -country, overseas or your community. Therefore, tactical fitness is about winning real-life situations which can be a matter of life and death for someone. Finding an effective tactical fitness regime that fits into your busy life can be challenging. Below are training options for men and women that maximize results in a manageable amount of time, so you can stick with it and achieve your goals. The TACFIT Commando system by Scott Sonnon packs a full body workout into just 20 minutes per day. Using only your body weight as resistance, you can improve your strength and agility without the need for expensive equipment or gym memberships. And because the workouts can be performed anywhere, it is easier to keep up your program even when you travel. Make your own gun safes out of household objects. Knowing how and where to conceal your weapons at home in case of an emergency is very important. What’s the point in owning a gun if you can’t access it in an emergency? What happens if the predator finds your gun before you do. You’ll find the answer below. The best way to conceal your weapons so they’re safe day in and day out, but readily accessible in an emergency. Why Guns Are More Important Than Ever It’s easy to make fun of disaster movies, but events like Hurricane Katrina’s devastation of New Orleans are proof that as a culture, we really are only three hot meals away from anarchy. We can’t help the fact that sometimes, systems break. Tornados take out power plants, earthquakes level buildings, floods erase entire city blocks. When that happens, survival instincts kick in. People collect food, water, medicine, and whatever else they think they’ll need to make it through the disaster. It sounds so civilized when described that way. In reality, it means looting. Most people don’t stock more than 4 days of food at home. Water comes from a tap. Medicines are things we buy as needed at Walgreens. When that security is taken away, people don’t neatly line up outside a shop and wait for the manager to fill out a disaster insurance claim while his employees fairly distribute the goods within. The first wave of people show up with money and buy everything they can fit in their cars. The next wave shows up with weapons and takes whatever is left. If emergency supplies aren’t brought in from an outside source, once well stocked stores are looted, people will turn to preying on their neighbors. When an armed group of hungry thugs turns up at your door, you want to be able to greet them with a gun. Preferably, you want everyone in your family to greet them with guns. In an emergency situation, having a gun on hand isn’t just self defense. Guns can diffuse a potentially violent situation. Imagine your home town has suffered a devastating natural disaster. You’re well prepared and holed up. Desperate people, a little crazy from both hunger and fear, break into your home. If you’re defending yourself with a mix of baseball bats, a rock in a sock, and broken glass bottles, someone is going to get hurt—probably both you and them. On the other hand, if someone breaks in and you level a gun at them, they stop. If all goes well, you can now talk them into leaving. If it goes badly, you can shoot them from a distance without giving them a chance to injure you. People who would cheerfully club you over the head with a broken pipe will back away from a gun. Being armed protects both you and your potential attacker. A gun safe is a wonderful thing for houses with children. However, if a burglar breaks into your house at 2 in the morning, you won’t have time to scramble through the dark, feed it the combination, then find and load your gun in the dark. For self defense purposes, you want your weapons where you can access them at any time. A gun safe is incredibly convenient. It’s also a good place to store your more valuable guns, any collector items, or weapons your family hasn’t trained with yet. That last part is the most important. 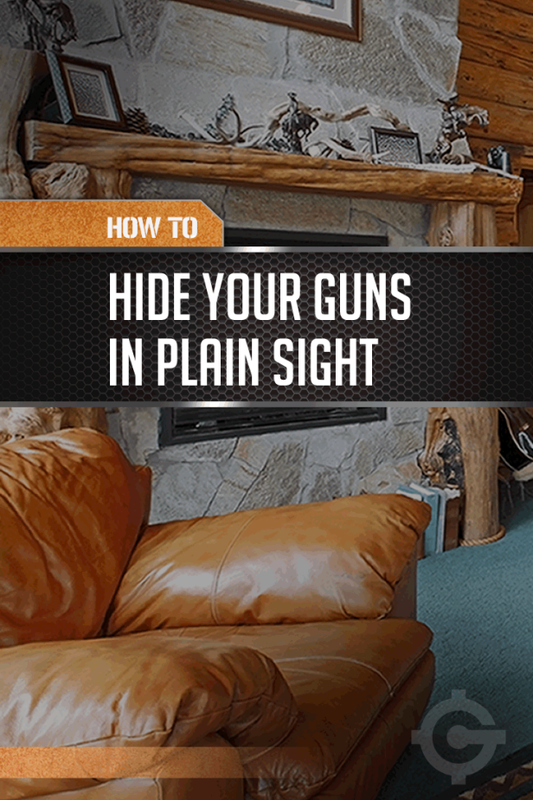 Before you strategically hide your guns in your home, you need to make sure every single person living there knows where to find them and how to use them. If you don’t take that precaution, you might as well be arming potential attackers. A gun in the hand of someone who doesn’t know how to use it is a gift to the person they’re defending themselves from. Before you start storing your guns outside a gun safe, take everyone in your household to a firing range and make sure they know how to use, load, clean, empty, and safely store any weapon you’ll have secreted about. Once everyone in your household is trained up, you want to hide your guns where they’re easily accessible to you but not obvious to strangers. . . But wait – where do we hide them? How do we hide them? …under the couch? Behind a frame? So… where do you hide your guns? My secret? A box of fiber one in the cupboard… My kid’s won’t go near it, and the burglars don’t expect it. Don’t overlook the importance of this first step, finding a good bottle to start with will determine how successful your knapping attempt will be. The best part of the bottle to use is the bottom, because the glass tends to be thicker than the sides of the bottle, and much less curved. So when picking your bottle, pay special attention to the bottom. Avoid bottoms with elaborate embossed markings, like makers marks, numbers, or other designs. These lumps and bumps can be tricky to get rid of. Begin with a smaller beer bottle before you try a larger flat bottomed wine bottle. 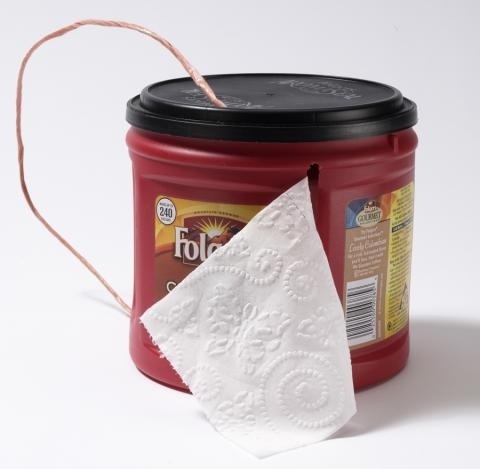 They are less difficult to hold and its easier to cover a smaller surface with flakes than a larger one. You can work up to wine bottles. Now you are going to need to break the beer bottle. You want to break it in such a way that the bottom will not be broken. Throwing it against a wall or rock is NOT a good way to start as the bottom is likely to break. Try wrapping it up in a corner of your tarp or a very heavy plastic bag and hitting the shoulder of the bottle with the hammer. NOTE: Wrapping the bottle up like this contains the mess, it does NOT protect you from the broken glass – The breaking glass can cut through the tarp and plastic bag quite easily. WEAR HEAVY LEATHER GLOVES. Its easier to break a bottle by hitting it in the middle, but you have a greater chance of breaking the bottom if you hit it there, so strike the shoulder. If you don’t have a hammer, try a hammer stone. Be very careful. Alternatively, it is possible to cleanly pop the bottom off of a bottle by putting a nail into it (tip down) and shaking it straight up and down with your thumb over the mouth of the bottle. A bigger nail is necessary for wine bottles. I use a round file as a substitute. If successful, the bottom of the bottle will pop out as a sharp glass disc. Unwrap your broken bottle. Hopefully the bottom will be in one piece. 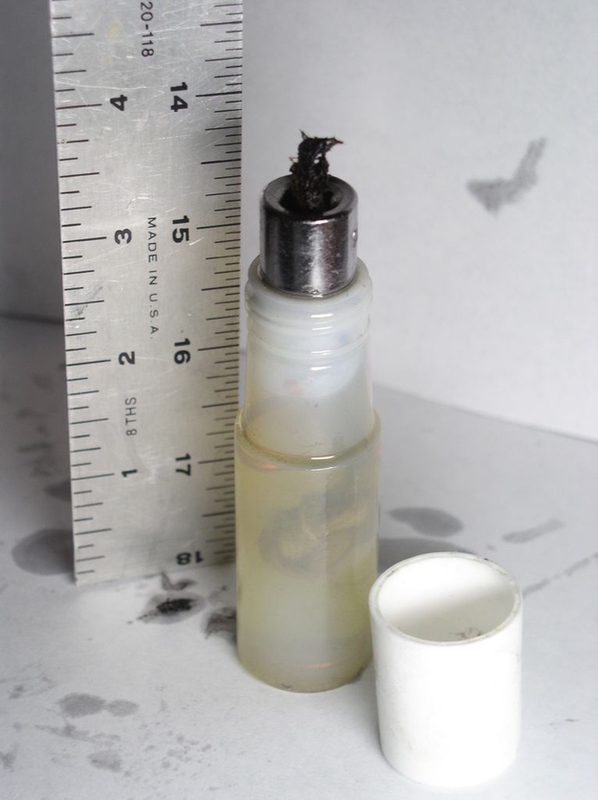 If it is, it will likely still be attached to sharp glass from the sides of the bottle. You will need to trim these hanging shards off, so that you have a nice flat bottom to work with. Hold the bottom upside down so that the shards hang down. HOLD THE BOTTOM WITH LEATHER GLOVES OR WITH YOUR LEATHER PALM PAD. Brush the hanging glass off with your hammerstone or the hammer. 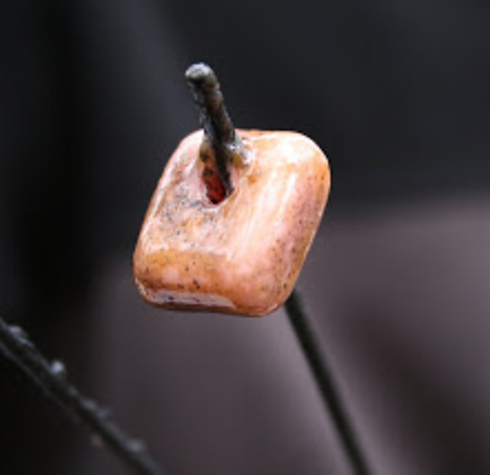 If you have a stubborn shard, try changing the angle you are holding the piece before you try striking harder. Don’t brush too much, you just want the bottom to be flat – too much brushing will make nasty step fractures. Step fractures are failed flakes which break and end with straight edges, rather than gently feathering out. When you are done, look at the bottom and you will see “dents” on the inside of the bottle where you broke the hanging shards off. These dents are flake scars. Now the fun begins! 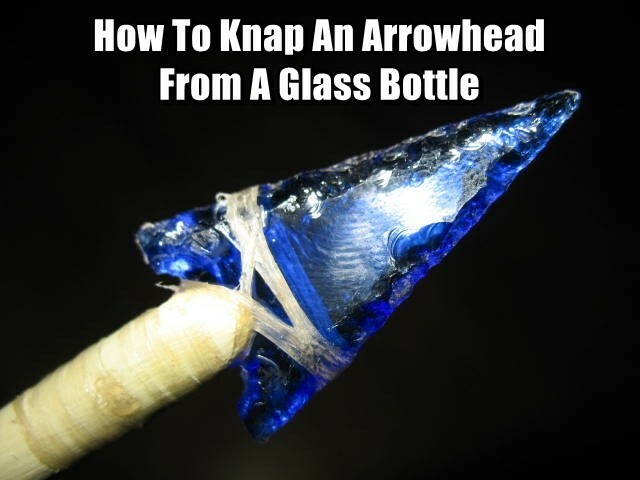 To knap an arrowhead out of a bottle bottom you need to 1) make a bifacial edge, 2) cover both faces with flakes, 3) shape it, and 4) notch it (optional). Points 2 & 3 will be discussed in the next section, and you don’t have to worry about notching yet. We are going to start by making a bifacial edge all the way around the bottle bottom. A bifacial edgeis an edge which has been worked on both (bi-) sides or faces. Look at your bottle bottom. If you followed the instructions in step 3, you will only have flakes scars from removed hanging shards on the inside of the bottle bottom, and none on the outside. Pieces worked only on one side are called unifacial. Ok, lay the bottle bottom flat in the leather pad in the palm of your left hand (if you are right handed), and clamp your fingers down on top, to firmly hold the glass. It doesn’t matter which side is up or down, just make sure that the edge you want to start working is exposed. You should have a little sandwich in your hand which goes; fingers, leather, glass, leather, palm. Now rest the back of that hand against the inside of your left knee for support. Using your copper flaker, you want to push down on the edge and detach a flake from the underside of the glass. Don’t pry the flake off, push it off. You really have to push hard to get a flake to come off. If detaching the flake hurts or bruises your palm, double or triple up your leather palm pad. The flake removed will look something like a little half cone, and the flake scar will be a negative cone. You can fit the flake back into the scar to see what I mean by a positive cone (flake) and negative cone (flake scar). Ok, put your flake somewhere that people won’t step on it and get back to your bottle bottom. Flip the glass over so that the flake scar that was on the bottom is now on the top. You will use that flake scar as the platform for your next flake. The platform is the place where you place the tip of the flaker to push a flake off. You want to place the tip of the flaker to the left or right of the center of the flake scar, so that the next flake you remove will be off to one side of this first flake. Again, push down with the flaker and take another flake off. What you should have now is a bottle bottom, with two flake scars: one on each face. Now flip the glass over again and use the flake scar left from the second flake removal to remove a third flake. Continue to alternate flake around the entire edge of the bottle. When you are done you will have a wavy, bifacial serpentine edge! Now you have a wickedly sharp, bifacially worked bottle bottom. 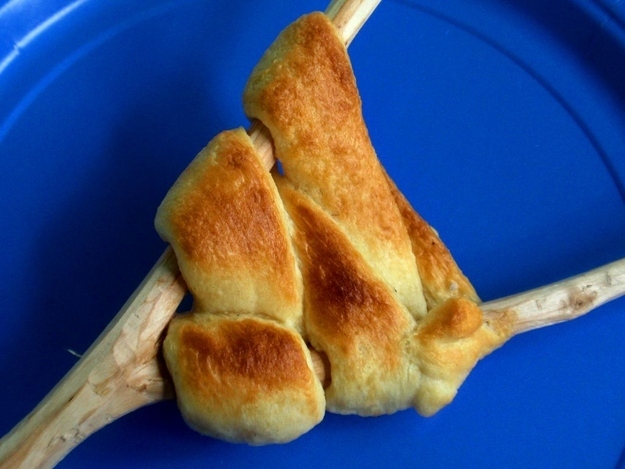 It doesn’t look anything like an arrowhead yet – why? Its not shaped like one, either in cross-section or outline. The flake scars are only around the edge, they don’t cover the face of the glass yet. You need to pressure flake it into shape. To do this, you need to change strategies a little. Instead of taking short chunky flakes off, like you did to make the serpentine edge, you need to take long, flat flakes off, which cover the faces of the bottle bottom, not just the edges. To do this, you change the angle you are flaking. Instead of pushing down, you want to push into the glass. Shaping – Cross-section If you look at your beer bottle bottom from the side, you will see that it is now, more or less, hexagonal. It has two flat faces and steep bevelled edges. It will also have a slight curvature to it, with a concavity on the bottom face and a slightly convex top surface. Arrowheads are, most often, lens shaped in cross-section. To achieve this lens shape, you need to get rid of all the concave curvature of the glass. In the process you will also be covering the blank faces with attractive flake scars. Most of the work you need to do is on the bottom, concave side of the glass. It will be very tempting to remove flakes from the upper, convex side because flakes love to travel across convex surfaces. 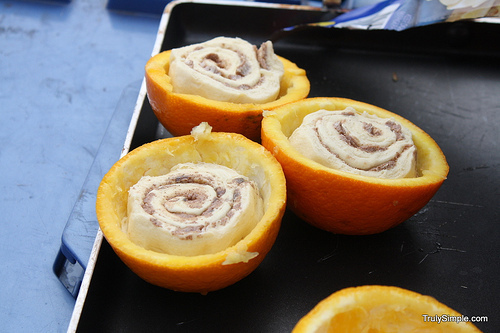 The flakes you remove from the bottom will be very short by comparison, but that’s okay. They will get longer as you work at removing the curvature of the glass. Taking beautiful long flakes off of the upper, convex side of the glass will only make the curvature worse. To remove the cross-section shaping flakes you will need to use the serpentine edge you’ve created. Creating the serpentine edge has made a whole series of platforms. The wavy edge zigzags up and down across the centerline of the edge. This is important. Your edge has peaks which are above the centerline and valleys which are below the centerline. 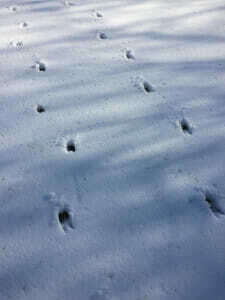 Your edge looks something like this: /\/\/\/\/\/\/\ You use the valleys as platforms to take off flakes. Look at you glass and find the peaks and valleys. The valleys are the platforms. Imagine the centerline. Now flip it over. Find the peaks and valleys. Find the platforms. Hold the bottom in your hand, the same as when you made the bifacial serpentine edge. Make sure that the concave face is on the bottom. Find the peaks and valleys. Place the flaker tip against one of the valleys. Instead of pushing down, push into the glass. Push hard, build up a force and then push down a little to detach the flake. Remember push in, then down. Don’t flip the glass over. Instead, move to the next valley and remove your next flake. Go all the way around. Then do it again. Don’t be discouraged if your flakes aren’t very long. You may have to go around the glass 3 or 4 or 5 times before the flakes reach all the way to the center. Everyone’s flakes are short the first time around. As you knap, your edge will get higher and your platforms (the valleys) will become less pronounced. So you will have to make new ones. You can do this a couple of different ways. 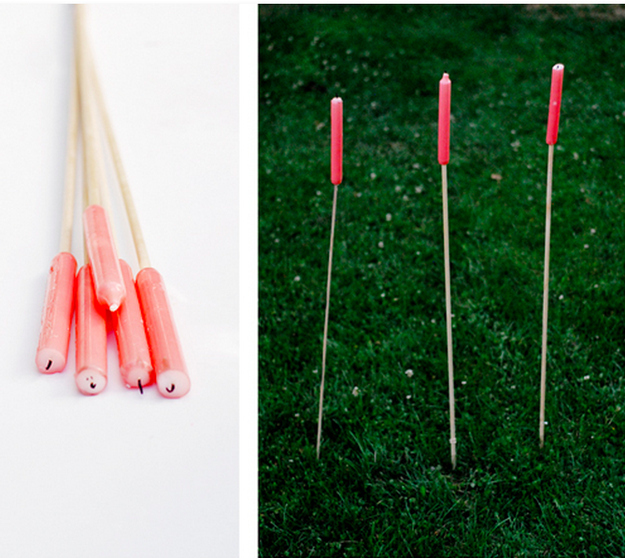 One way is to use the tip of your flaker to brush up on the edge. 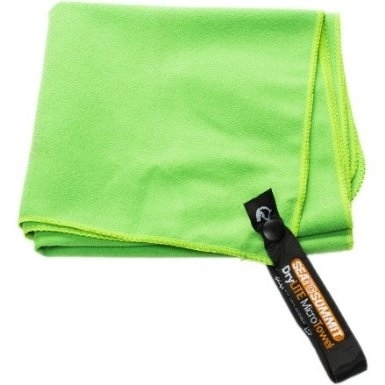 This will remove tiny flakes from the upper surface of the edge (WEAR GOGGLES!). This will get rid of the thin brittle edge, making it stronger and lower. The second way to make new platforms is to grind the edge with an abrading stone. I just use one of my hammerstones. Again, you want to prepare your platforms in the opposite direction that you are flaking. Flip the glass over, so that the face you want to flake is facing up and brush the edge, in a downward motion, with your abrader stone. Flip the glass back over, look for the platforms below the centerline, and keep knapping. Keep this up until you achieve the desired lens shape. Remember to spend most of your time removing flakes from the concave side. It won’t take you very long to cover the convex side with flake scars. Shaping – Outline While you are working on the lens shaped cross-section, you will also want to coax your bottle bottom into an arrowhead shape. There are no hard and fast rules for shaping the outline of your arrowhead. If the bottle bottom is circular you can arbitrarily select a pointy end and a base end. 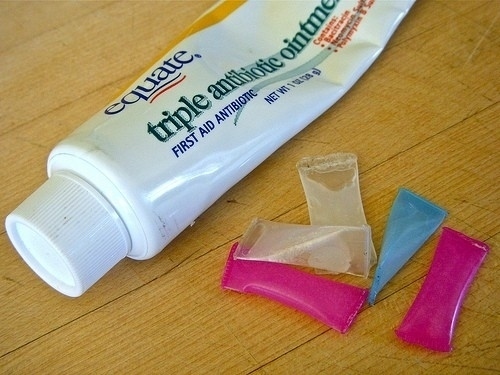 Gradually change your circular bottle bottom into a triangle. If your glass is not perfectly round, look for the longest axis, and align your triangle along that. The first step is to stop thinking about the bottle as a circle and start thinking of it as a chubby triangle. Instead of working around and around in a spiral, work from three directions – in from the two sides of your arrowhead and up from the base. When you abrade your platforms, keep the triangle in mind and work towards that goal. Wow! You made it – you have a lens-shaped triangular arrowhead. All you have left to do is notch it! The notching tools I typically use are sections of coat hanger mounted in broom handles, which have been filed to a chisel shape or copper wire which has been hammered flat (see the Pressure Flaker Page). Pick the point on the edge of the arrowhead where you want to start your notch. Use your notching tool to create a little nick in the edge, the same way you made your first flake on your serpentine edge. Flip it over. Take another flake of in the same place you took the first little flake off. Flip it over and keep doing it. Its the same sort of process as you used to make the serpentine edge, except you are flaking straight into the body of the piece instead of around the edge. Repeat the process for your second notch. Tip: I like to make both notches at the same time, rather than finishing one and starting on the second one. I find that they turn out more uniform if I work on them together. 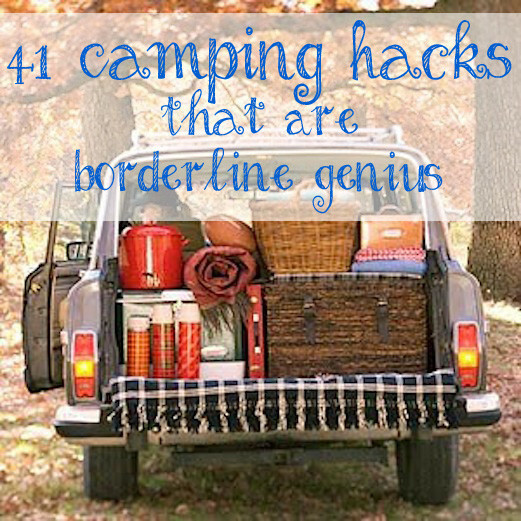 These tips and tricks will guarantee you’ll be a totally happy camper this summer. 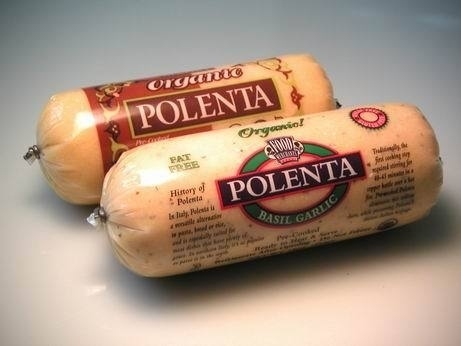 Polenta is especially versatile because it can be shaped into patties and pan-fried for a sweet or savory meal. No matter how far you have to carry this thing. Coconut oil is one of the most popular multipurpose foods in the world. 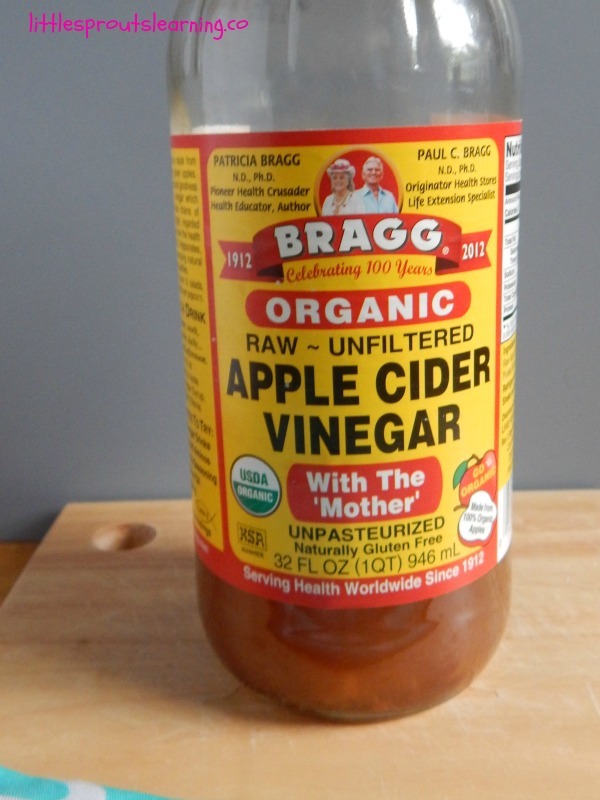 It goes great in countless recipes, it’s good for your health, good for your body, good for your skin, good for cleaning, and so much more. But what most people don’t know is that coconut oil also has many uses in a survival scenario where supplies are hard to come by. If you’re prepper, I highly recommend storing at least a few containers of coconut oil. When searching for coconut oil, it’s best to stick with virgin or unrefined oil. It has more nutritional qualities and will last longer. My personal favorite is Carrington Farms Organic Extra Virgin Coconut Oil. Now let’s get to the list. 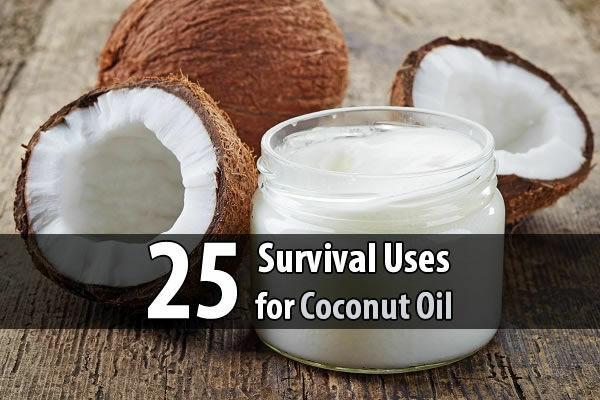 Here are 25 survival uses for coconut oil. 1. Apply a thin coating of coconut oil to a cut or wound to speed healing and prevent infection. The layer of coconut oil also acts as a bandage of sorts and will keep the wound fairly clean. 2. In dry heat, warm a bit of coconut oil and gently apply it to the inside of your nose to prevent nose bleeds. 3. Apply a thin coat of oil to your lips to keep them from getting chapped when you’re battling dehydration and working outside in the elements. 4. Rub coconut oil on burns, including sunburns, for soothing and healing. You can even add a little lavender to make it more effective. 5. Rub the coconut oil on any bug bites or bee stings for immediate relief of pain and itching. 6. Prevent athlete’s foot by giving your feet a good rubdown with coconut oil everyday. 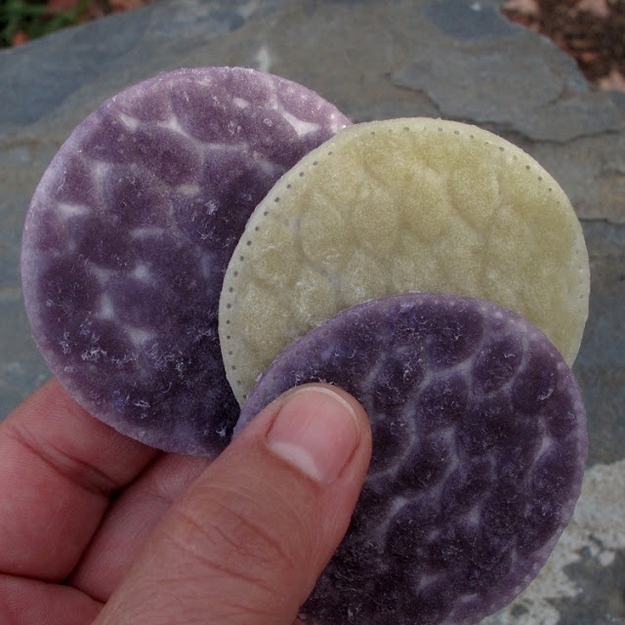 It will help protect and soothe your skin after a long day of hiking as well as kill any fungus and bacteria on your feet. 7. Use a little coconut oil to help condition leather gloves, shoes or knife sheaths. It can also be used to make leather working a little easier. 8. Protect the wooden handles on your knives, axes and saws by rubbing a little coconut oil on them. The oil will help prevent the wood from cracking and splitting. 9. Remove rust from knife blades and ax heads by applying a coat of coconut oil. Let the oil sit for about an hour and then wipe away. 10. Deep bruises will heal quicker with regular massaging in of coconut oil. The coconut oil helps heal the damaged tissue. 11. A little coconut oil can be used to season cast iron skillets that you’ll be using to cook over open fires. 12. Coconut oil can be applied to aching joints that hurt because of overuse or arthritis. 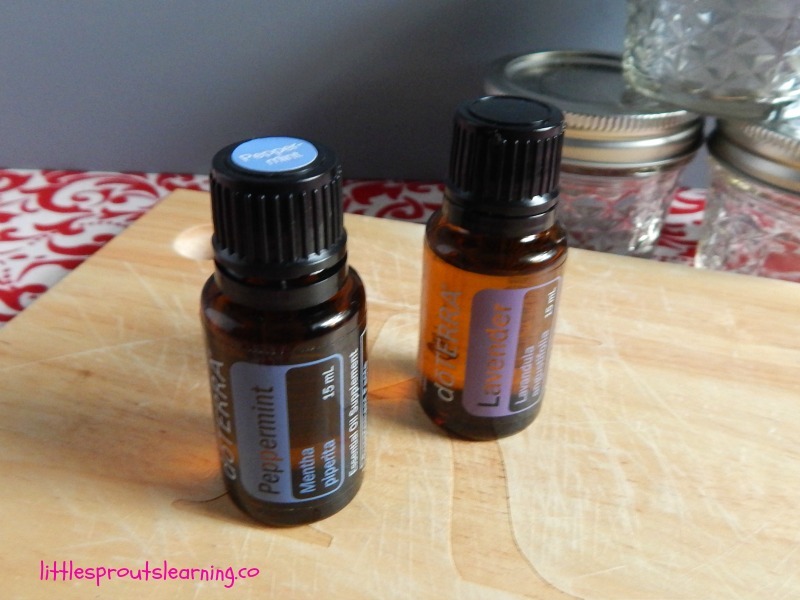 If you have some peppermint, add that in for even more relief. 13. Coconut oil is an excellent carrier oil for essential oils that will be applied to the skin. Homemade salves and balms made from essential oils that have been stockpiled will be the best medicine after a collapse. 14. Coconut oil can be stored long term, which means you can use it as a cooking oil substitute. Unlike vegetable oil that goes rancid in a short time, coconut oil will last for years when stored properly. 15. 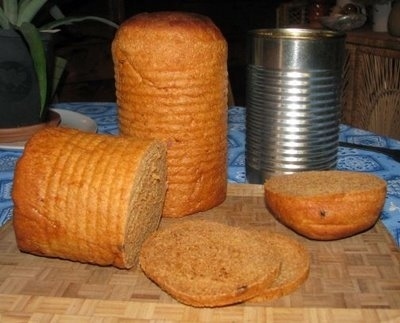 Post-collapse baking from scratch will be the norm. Using coconut oil in place of butter will be a viable option. It will also be much healthier! 16. Add a tablespoon of coconut oil to a cup of warm water each morning for a boost of energy. 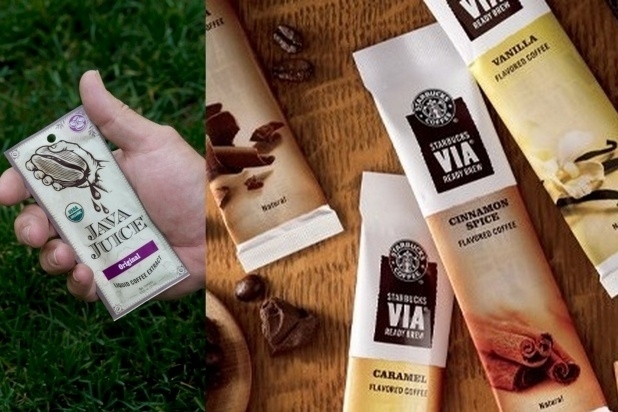 When coffee and soda are not available, this is going to come in handy. 17. Shaving in a post-collapse world may not be absolutely necessary, but if you want to do so, you can use a little coconut oil instead of shaving cream. It will leave the skin smooth and reduce the risk of irritation and burning from a dry shave. 18. Make candles with coconut oil. Melt the coconut oil until it is liquid. 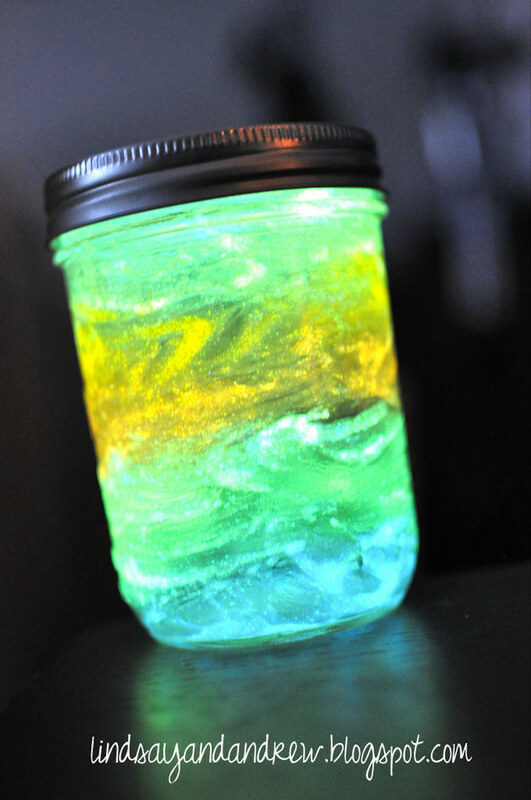 Place a wick in a clean jar and pour the melted coconut oil into the jar, making sure the wick stays up. Allow the oil to cool and harden. 19. Use a coconut oil salve on skin rashes and eczema. It will soothe the itching and redness and promote healing. 20. A tablespoon of coconut oil taken internally for several days can help you get rid of a nasty tapeworm. 21. If you feel a cold coming on or the flu virus is present, take several tablespoons of coconut oil throughout the day in a hot cup of water or tea. The coconut oil helps kill the virus while boosting your immune system. 22. Relieve constipation with a couple tablespoons of coconut oil. 23. If you or someone in your group has diabetes, coconut oil everyday can help regulate the blood sugar. It is also a safe cooking and flavoring substitute in meals for diabetics. 24. Warm coconut oil and apply it to the scalp and hair to kill head lice. With poor sanitation and hygiene, head lice after a disaster will be very common. Add a little tea tree oil to the coconut oil for even more killing power without hurting the scalp. 25. Use a little coconut oil to cure pink eye. Adding a little coconut oil to a cotton ball and rubbing across closed eyes will help clear up the pink eye. Making a warm compress with the coconut oil will help decrease the swelling and speed healing. Summer time brings on the bug bites like crazy. 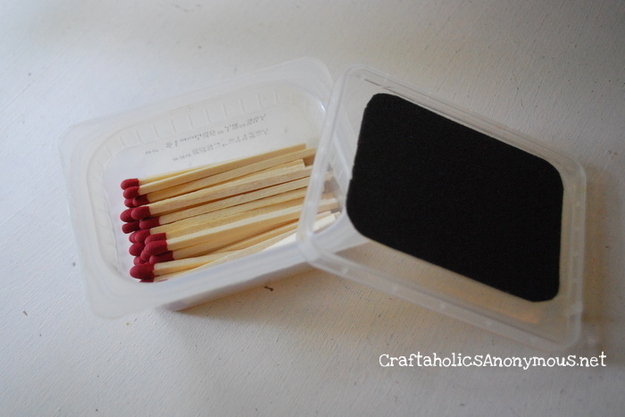 You can make your own anti itch sticks that work wonderfully to take the itch out fast. 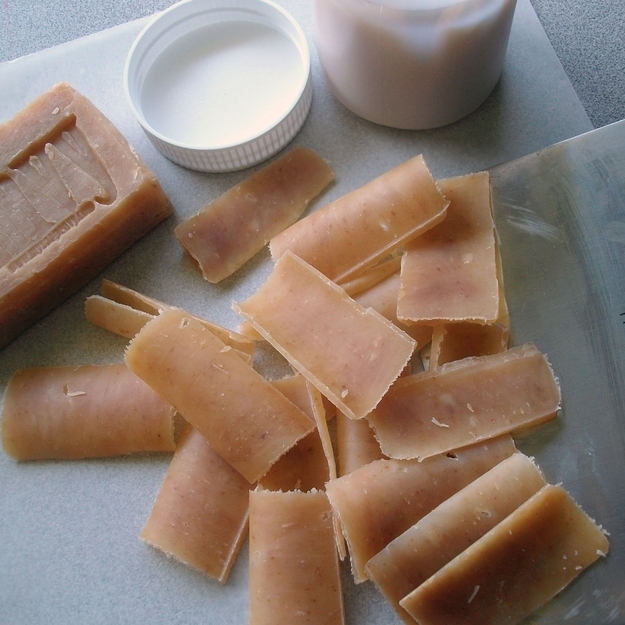 I love making my own products because I know what’s going on my skin and my kid’s skin. I am leery of all the harsh chemicals we have available for our use on our bodies. Most of this stuff can be grown in the garden or bought locally, or you can order it in bulk from amazon. Either way, using pure ingredients will help protect your health. DEET is the main ingredient in most insect repellents but it’s not good for our health and can be particularly dangerous for use on children. If you want to learn more about the dangers of DEET and other ingredients in conventional bug spray. I love being able to make my own remedies and help protect my kids and my family from miserable itching throughout the summer. 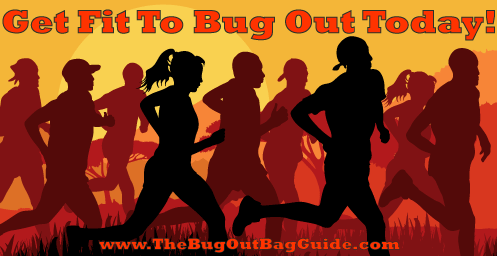 Bug Spray made with all natural ingredients to repel bothersome insects. You should always test any product on a small patch of skin before use. 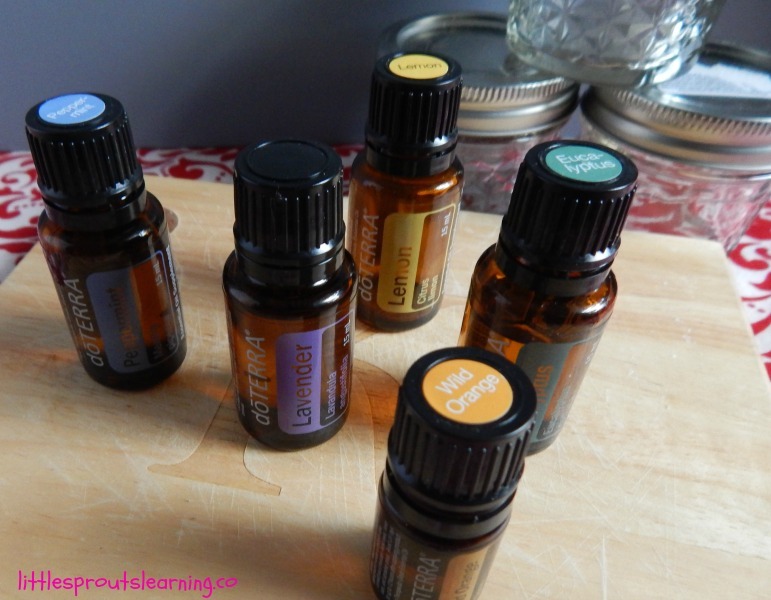 Use caution when using essential oils on children. 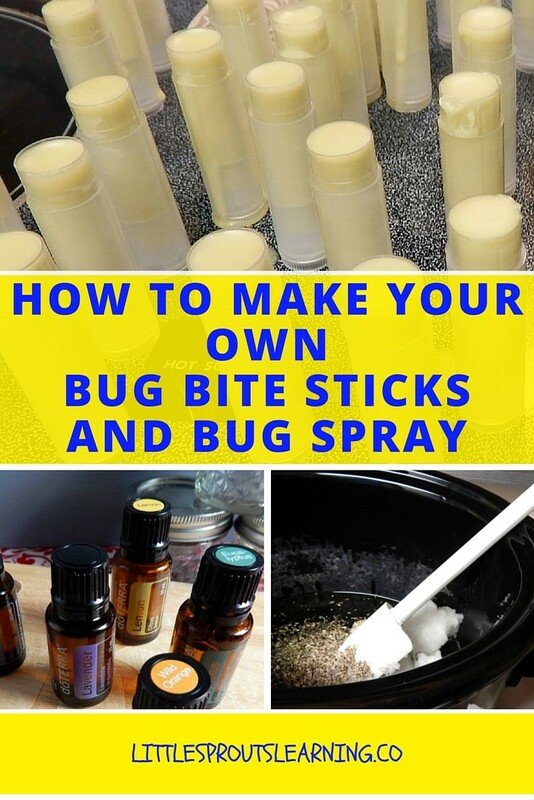 Sticks to rub on bug bites to take out the itch or sting. Leave 2-3 days watching carefully so it doesn’t get too hot. You can turn it off at night. 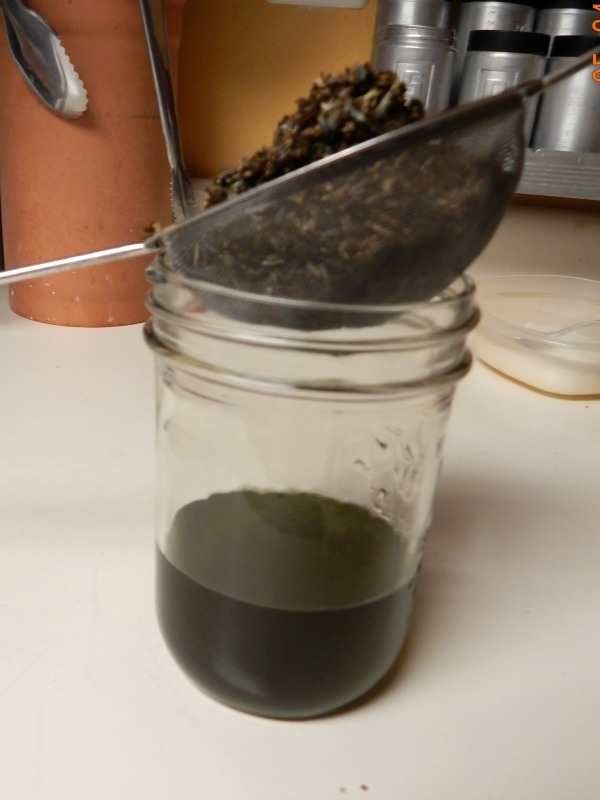 Strain your oil with cheesecloth or a strainer. Clean out your crock pot. 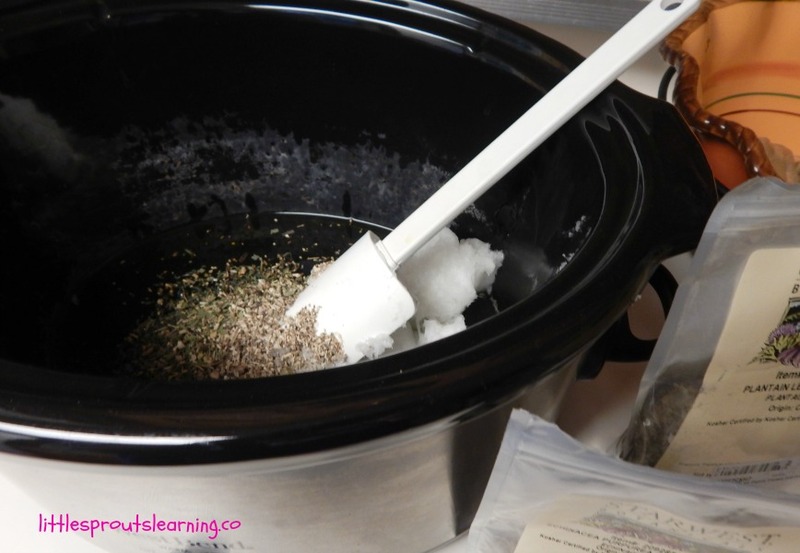 Return your infused oil to the crock pot. Add beeswax and lanolin and stir until dissolved and combine. 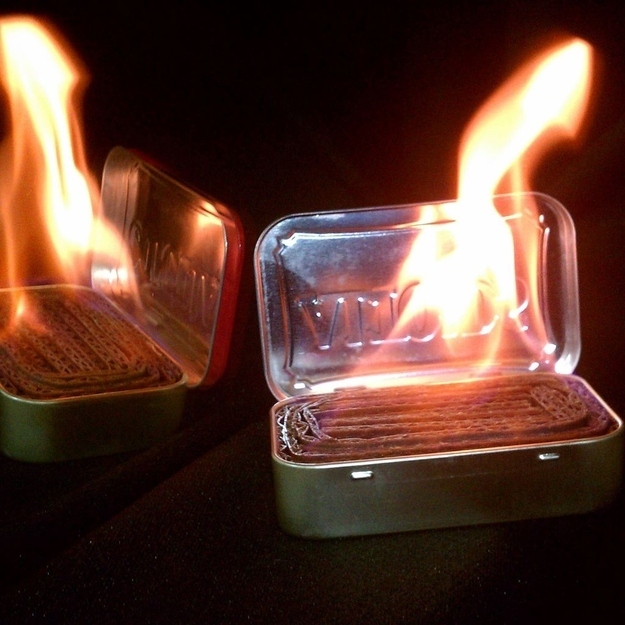 Pour mixture into empty chap stick tubes or small tins. Please be cautious when using essential oils or any products on children. Information shared on this blog is not intended to diagnose, treat, cure, or prevent any disease, and has not been evaluated by the FDA. These are simply recipes that I use. This post may have affiliate links. If you click on these links it may allow us to earn a small commission with no added cost to you. We are working hard to keep this blog free to you and these commissions are part of the plan to do that. Why is it important to learn rainwater collection methods? Living in such a modern world nowadays, most people don’t worry about much at all. They can mostly get what they need at home with just a push of a button or a flip of a switch. 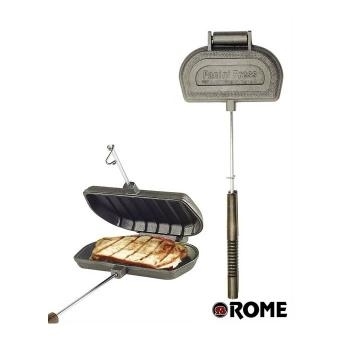 Even going camping outdoors is more like “glamping” these days, with food, water and even internet easily accessible. But what if you run out of water, either at home or while spending time outdoors? What if there’s no way to get water elsewhere? Even if you were able to collect water, how would you make it safe to drink? 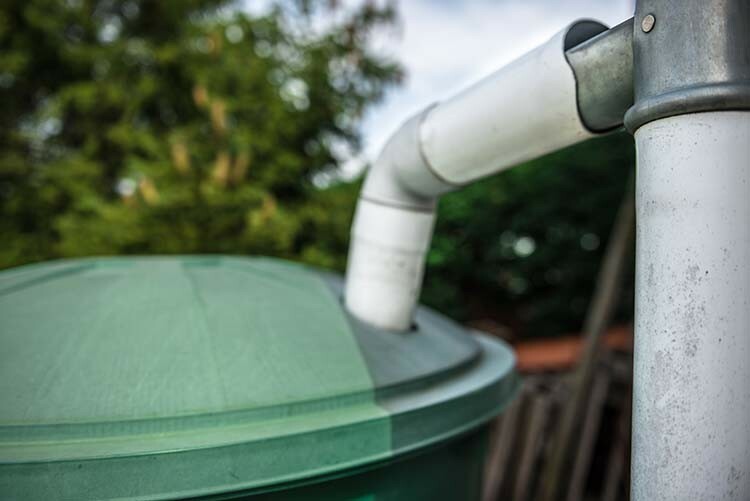 The following rainwater collection tips are for those who may find themselves in dry spell conditions, or even those who might like to save some money on their water bill. Are rainwater collection systems legal in your area? A water permit is required for some states in the US, while others don’t allow you to collect any rainwater at all. Better safe than sorry. Place the barrels beneath your downspouts. 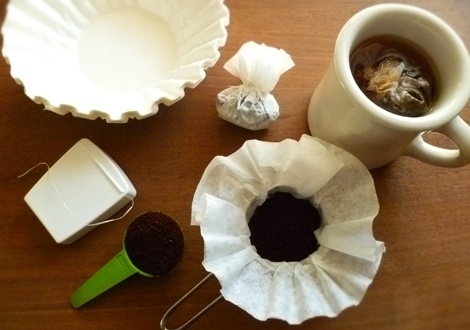 You can use cheesecloth, a coffee filter or a screen trap will help filter the water from sediments. 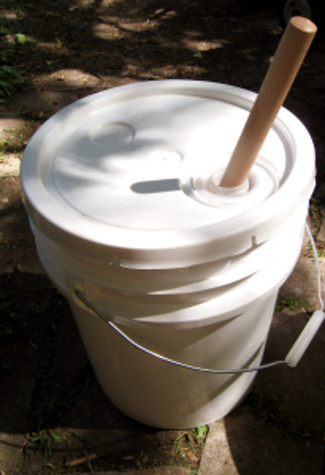 This tip will help you go through the Do’s and Don’ts in making your own rain barrel. This tip will help you collect rainwater mostly using materials that can already be found lying around your house. It may take a few hours of your time every day but it will surely put your power tools to good use. Plus, you don’t spend much for by paying someone else to do it for you. Using an ordinary bucket, you can fill it with different layers of certain materials that probably won’t cost you a cent. Just don’t forget to place a hole at the bottom. 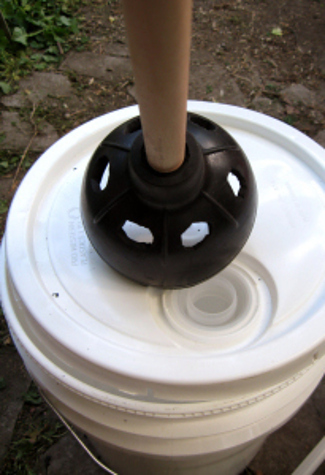 Collecting and transporting a rainwater barrel outside your home can be tiring and time-consuming. Installing a system with a more complex design may help. Some systems have an overflow pipe that releases excess rainwater to a designated location in your property. If rain is scarce in your area and you’re just trying to save on your water bill, you might want to consider installing this system. You can recycle water from dishwashers, sinks, showers, and washing machines for use other than drinking. This would increase your chances of survival for outdoor enthusiasts. This is a very basic way of collecting water if there isn’t any fresh water source for miles. 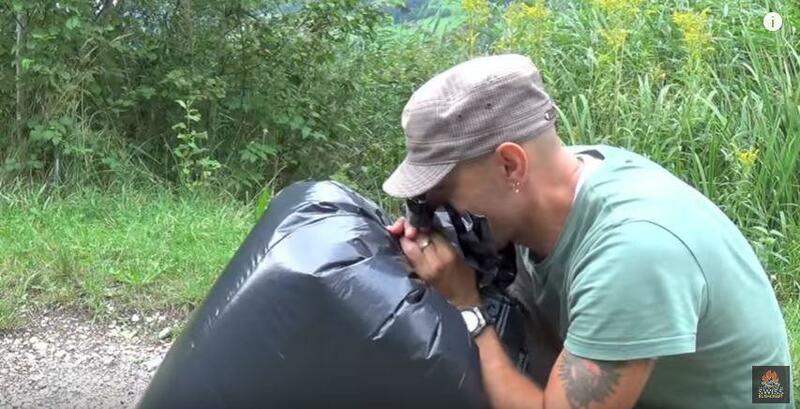 This is another ingenious way to collect drinking water in the wilderness. Just choose an inclined surface then dig a trench. With a stick, plastic bag and a few rocks you’ll quench your thirst in no time. If there are a lot of plants nearby you can collect water through the process of condensation. You will need a plastic bag and a 550 cord or anything similar to that material. Wrap the plastic bag around the end of the plant or a branch of a small tree then wait for the water to condense at the bottom of the bag. Dew is most heavy right before sunrise or shortly after that. By tying rags on your ankles and walking through grass covered with dew you can wring the now wet rags into a container. It may not be enough but it will get you through a couple of more hours. Purification tablets or 2% tincture iodine can come in handy when you need to purify water to make it safe for drinking. Make sure you purify water taken from swamps, lakes, streams, springs and ponds. These cacti spike inspired design was able to collect water from the air five times more efficiently than its original counterpart. This will work wonders for those that run out of water in the desert. If caught unprepared, collecting water from miniature cactus spines can suffice. Just surf the web and you can find a lot more tips in collecting water from a variety of sources. Regardless of your location or type of environment you are in, knowing how to collect water in different ways is crucial for everyday living and survival. Bamboo has been used for millennia to make fine bows. It is tough, straight grained, very flexible, and easy to work. Bamboo is used for backing on many traditional laminated bows. 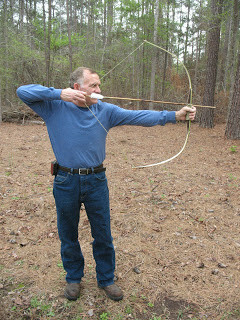 This bow is neither fine, nor traditional, nor laminated; but it is quick and easy to make, and it works. Weather (and severe weather) is a part of life. When we lived in a regular ole house I paid little attention to the weather – being near Seattle, Washington it was almost always rain of some kind in the fall/winter and moderate temps in the spring/summer. It was nearly always manageable and all we really needed was a lot of layers and a decent rain jacket and umbrella. Being on the road weather is a different story. Knowing the local weather is part of our daily routine – because severe weather could have severe impacts when you live in a house on wheels. We planned our route around the country primarily because of weather – the northern areas in the summer, the east coast in the fall and Florida/South in the winter. So far, this plan has worked in our favor and we’ve experience very little inclement weather. We did change our plans last October to avoid Hurricane Joaquin which was slated to hit the east coast. Instead of being in New Jersey like we had originally planned, we headed inland to Gettysburg, Pennsylvania to avoid the storm. We ended up with only a rainy weekend – and enjoyed an awesome tour of Gettysburg. And South Dakota last summer was frustrating because the tornado and hail alerts seemed like a daily occurrence – but we avoided them by racing across the state and setting up camp in Minnesota. Lately central Florida (thanks to El Nino) has been throwing us some strange and unpredictable weather – like tornados. For example, last week while we were in the Fort Myers area we knew severe thunderstorms were expected to hit Saturday night. We would have probably rerouted to be farther north for the storm, but we had a repair appointment in the area all day Saturday. We couldn’t reschedule the repair appointment – we needed our water pump replaced – and RV repair appointments are tough to find in Florida in January. We left our repair appointment in Fort Myers around 3 p.m. and started heading north to our reserved campsite, which turned out to be a disaster. It’s a long story – but the private campground where we planned to stay at was crowded, flooded, muddy and was too small for our trailer. It wouldn’t have worked – not even a little. So we scrambled to find another spot and thankfully ended up finding an opening at Sun-n-Fun RV resort up near Sarasota. More expensive than we usually pay for a spot, it was a gravel spot (no mud or flooding potential) and I knew it was a well populated park with lots of services and buildings. We ended up setting up camp in the dark (something we never do) and spent the night playing in the heated pool and relaxing in the family hot tub knowing the rain/storm would start around 2 a.m. I went to bed earlier than usual because I was expecting the storm. At around 1 a.m. I was woken up by aTornado Watch alert on my phone. A tornado watch means there is a strong probability of a tornado but one hasn’t formed yet – I stayed up and monitored the storm after that. Around 2:40 a.m. the wind had picked up and I pulled the kids into bed with me. At 3:06 a.m. the Tornado Warning went off – this means a tornado is developing and you need to take cover immediately. Trailers and mobile homes are NOT a safe shelter option. We pulled on sweatshirts, slipped on shoes and were out the door within a couple minutes. We ran to the nearby cement foundation bathhouse and took shelter in an interior wall of the building – on the floor of a men’s shower stall. We were joined in the bathhouse by dozens of other people from the park. We would spent the next couple hours hanging out in the shower stall in the bathhouse. Tracking alerts on our phone and waiting. 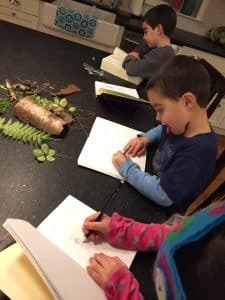 We had our hotspot with us – so the kids watched Netflix, which was a great distraction as they were understandably shaken by the experience. Two tornados touched down that night in Sarasota County, Florida. One just about 13 miles away (see map above, the Ts mark the tornados, black arrow is us). We were lucky to avoid any damage but others were not so lucky – many houses, condos and mobile homes were destroyed in the area. Coming from the Northwest this was our first tornado warning and I’m hoping our last. So what can we do to protect ourselves against severe weather while traveling full time? Here are a few suggestions for products or supplies that can help keep you safe. . .
Download a few weather apps on your smart phone. I have six weather apps on my phone. I use them all for different things. At the bare minimum, I recommend the NOAA radio app – it’s $3.99 and worth every penny. Get real-time updates straight from the National Weather Service – and it has the ability to notify you of warnings even if your device is asleep and locked. I think having more than one weather app is wise – I’d rather receive multiple alerts than be counting on only ONE app for alerts and find that it didn’t work, right? I also have the Weather Underground and NOAA Weather Alerts apps, plus a couple radar apps and the Weather Channel app. Depending on your needs, you can download a weather app bundle that will save you a few bucks (like this Severe Weather bundle). The NOAA Weather Alerts is probably my favorite – it’s super easy to navigate, shows a list of alerts AND a map of alerts – and shows you where you are, so you can clearly see where you are in the boundary. It also seems to be super quick in sending alerts. Downloading the apps is NOT enough – make sure you tweak the settings to use your current location and to set up AUDIBLE alerts in the case of an emergency. Cell phone charger. How long will your phone battery life last if you’re constantly monitoring storm coverage? I know mine wouldn’t last long enough so we have the AmazonBasics Portable Power Bank – 16,100 mAh. It charges my phone quickly and it fits easily in my back pocket or purse. It can charge other small devices as well. I also ordered the lightning cable for it. Headlamps or flashlights. We always keep a headlamp hanging right by the front door. If we needed to run outside in a hurry, in the dark, it’s immediately accessible. We also have an emergency drawer in the living area that has a collection of other headlamps and flashlights (it’s also where we store our NOAA radio and batteries). 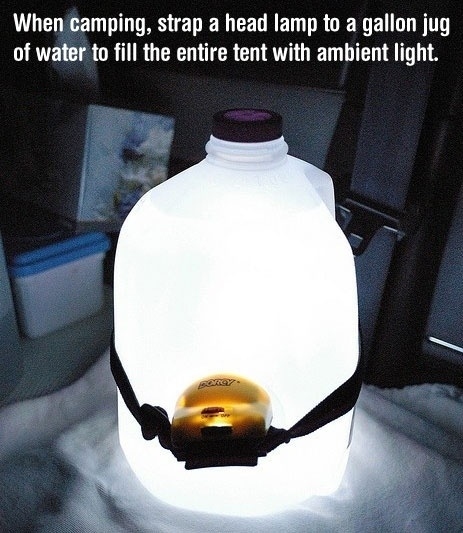 A camping lantern is a great choice as well. We have two camping lanterns and they come in handy when you want to hang out with friends after dark without a campfire. Emergency backpack. 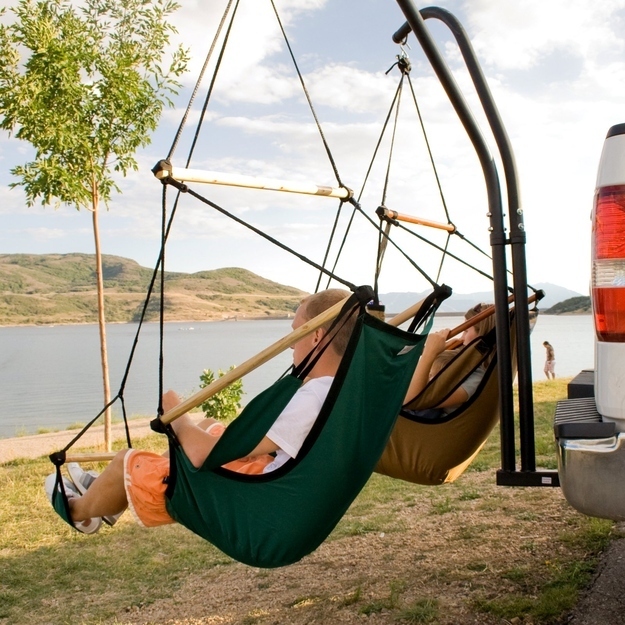 What would you need for safety if you suddenly had to leave your RV or trailer? Fill a durable backpack with water, high-protein snacks, warm clothes, flashlight/headlamp, cell phone chargers, small toys to distract/entertain young children, emergency contact information, insurance information, ID/passport, credit card and/or cash, essential medications, small blanket, NOAA radio, etc. Emergency food/water supply. We keep two large containers of water (like this Coleman Water Carrier (5-Gallon, Blue) in the back of our truck (changing out water often to keep it fresh) and we have a Mountain House, Just In Case… Classic Bucket in the back of our truck. Both would be necessary if we were stranded in our truck somewhere. In addition to those products and apps, here are a few more things to consider. . . 1.) Keep an eye on the forecast. Often severe weather conditions can be predicted at least a few days in advance. Consider re-routing or moving to avoid severe storms. Bookmark Weather.com and check it daily – you can see a 10-forecast that I find is often pretty reliable. 2.) Your safety is your responsibility. In the case of an emergency or severe weather your safety is YOUR responsibility. Don’t rely on your campground to notify you, don’t expect neighbors to knock on your door – it’s your job to be alert and aware of severe weather. Don’t be shy to ask for emergency routes or shelter options when you check-in (it’s recommended!) and don’t be shy to hang out in the men’s shower stall – even if no one else has evacuated yet. We were the first people to take shelter at our campground – I second guessed myself because this was my first tornado warning – but we stayed put and were soon joined by the rest of the RVers in our loop. It’s better to be overly cautious than to wait and see – you might find you’re too late. 3.) Know your nearest shelter or evacuation route. Make it a point to know where the nearest shelter is – make sure your kids know, too. You can ask this information when you check in to an RV park. Most state parks have cement bath houses. 4.) Have your RV park address and site number easily accessible. Write the RV park name, address, site location and front desk info on a dry erase board or piece of paper somewhere easily accessible in the living space of your RV. If you need to dial 9-1-1 you’ll need that information to get emergency personnel to you as soon as possible. We often leave the campground map out for easy access. 5.) Know what COUNTY you are in. Weather alerts are often issued by county. You should know which county you are currently located in and it doesn’t hurt to know the names of surrounding counties either. 6.) 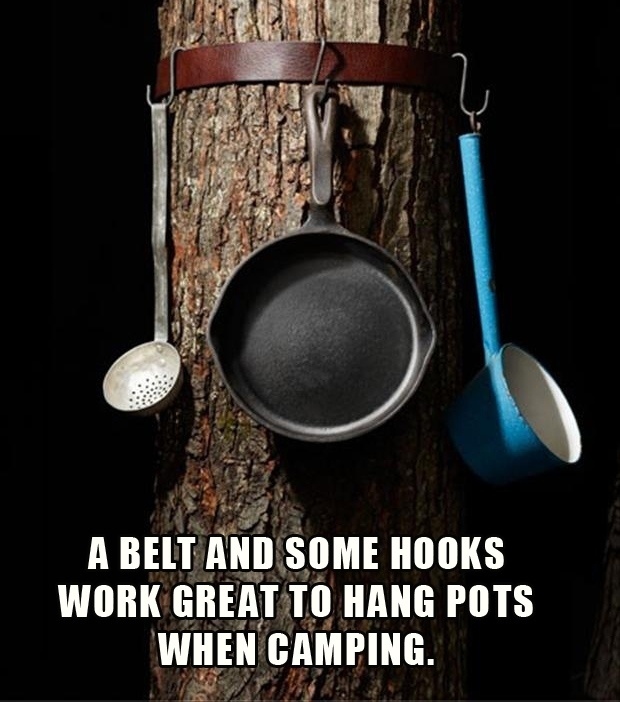 Prepare the outside of your RV or campsite. Reduce the risk of damage by putting away things that can blow around. 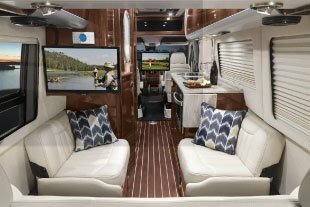 Retract awnings, retract slides (if applicable), put away chairs or camp kitchens – you don’t want these things slamming into the outside of your RV. 7.) Don’t try and outrun a surprise storm. If you’ve waited too long and/or get caught by a surprise storm – don’t panic and try to hitch up and run. We were foolish early in our journey and did this in South Dakota after getting alerts about a possible hail storm (1 inch hail) headed our way. We hitched up in the dark, in heavy rain and headed out to find shelter under a nearby carwash. Turns out we wouldn’t easily fit in the car wash bay (a few classic cars had beat us to the spots anyway), the hail didn’t end up crossing our path, and we were put ourselves at risk by hitching up in a hurry and rushing to seek shelter. In hindsight it was a stupid choice that was rooted in panic – we won’t do that again. Next time we’ll stay put, seek another shelter if needed, leave the trailer and take the truck, and/or deal with the damage if it happens. 8.) Make sure your insurance is adequate. If your RV is your full-time home do you have adequate insurance to replace it in the event of an emergency? Talk to your insurance agent and make sure you have a full-time policy and that it is sufficient enough to cover your needs. Some policies even include hotel/living expenses if you’re unable to live in your RV due to repairs or replacement. Full-time RV insurance policies don’t always give you the same protection that a homeowners policy does (providing liability insurance while you’re out away from your trailer, for example), so an umbrella policy might be a good idea. Talk to your insurance agent to make sure you’re adequately covered. 9.) You can replace your RV but you can’t replace a life. At the end of the day there are no possessions in your RV that are more important than your life. Seek shelter if needed and worry about property loss later (see #8). 10.) Stay calm. Don’t panic. Have a plan in place and follow through with it calmly. Panic is not your friend. I’m not a certified weather woman, I’m also not an expert on emergency preparedness – I’m just relaying some of the ways that we work to stay safe on the road. Please practice due diligence and research what emergency tools or apps will best serve your family – remember that your safety is your responsibility. At the end of the day preparation and planning are your best weapons against any emergency – especially severe weather. We can’t predict all the emergencies we might encounter but we shouldn’t let that keep us from enjoying life on the road. Safe travels to you. . . .
What tips do you have for being safe while traveling in an RV? 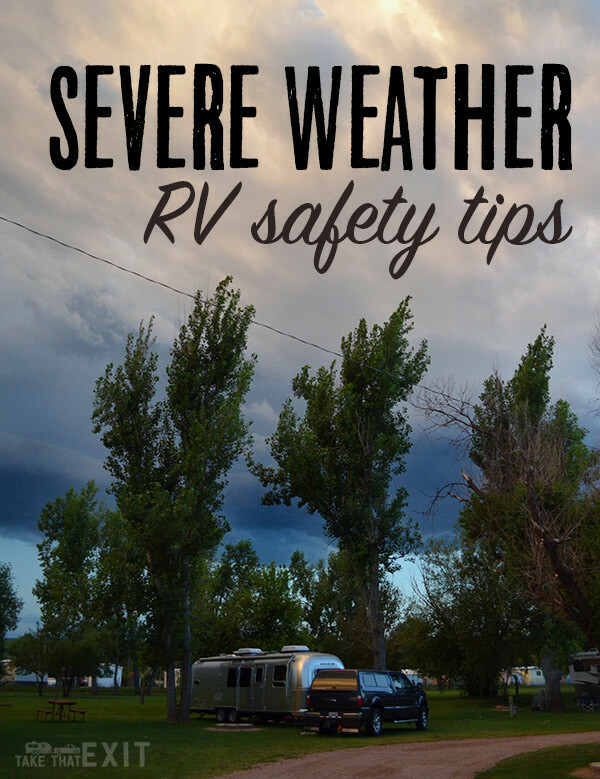 Please leave a comment and share your favorite severe weather RV tips! High cost of oil and gas fuels a boom in wood stoves. But what is the cost to climate? George and Judith Reilly own a big antique house on the main street of Brandon, Vt., a picturesque town on scenic Route 7. The house’s front parlor doubles as a gallery to display the fabric art Judith creates in her upstairs studio. Last spring, when oil for the house’s furnace began to top $4 per gallon, Mr. Reilly did some quick calculating and decided he could save up to 50 percent on his heating cost this winter by installing a stove that burned sawdust pellets. Over the summer, he placed an order with first one, then another local dealer. But by October, both had failed to find him a stove. Finally, he discovered one on eBay. The only problem: Reilly had to drive his pickup truck from Vermont to Maryland to claim it. 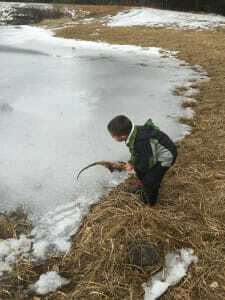 Last weekend, as nighttime temperatures dipped below freezing, he was installing his prize, which he hopes will be his main source of heat this winter. Both traditional and pellet-burning wood stoves are in high demand as cold weather begins to grip the northern United States and Canada. Sales of wood stoves are up 55 percent so far this year over last, according to industry figures. And sales of wood pellet stoves are even hotter: up 135 percent over the same period last year. But as people polish their stoves and admire their woodpiles, environmentalists and health officials are expressing concern that burning wood in old or poorly designed stoves could add significantly to air pollution. And although wood represents a local and renewable fuel source, its credentials as a “carbon neutral” fuel – not adding to global warming – are hazy at best. Even the very cleanest-burning and best-maintained wood or pellet stoves release a much higher level of emissions than a typical oil furnace, a common heating fuel in the Northeastern US. Natural gas, the most popular heating fuel nationwide, burns even cleaner than oil. Wood smoke “is a fairly toxic cocktail,” says Lisa Rector, a senior policy analyst for NESCAUM, a nonprofit group that advises eight Northeastern US states on air-pollution control issues. According to the Environmental Protection Agency (EPA), wood smoke contains a number of potent health hazards, including carbon monoxide, nitrogen oxides, and fine particulates. The American Lung Association estimates that in some locales fireplaces and wood stoves are the source of 80 percent of the fine particulates found in the air. Judging how polluting a particular wood stove is can be tricky. Since the early 1990s the EPA has mandated that new wood stoves emit no more than 7.5 grams of emissions per hour, though many models have been tested with much lower emissions. Stoves manufactured in the 1970s and ’80s emitted about 42 grams per hour, according to the Hearth, Patio, and Barbecue Association (HPBA), which represents wood stove manufacturers. But how much pollution a stove emits also depends on what is being burned. “A tree is not a tree is not a tree,” Ms. Rector says. “It is what it lives in.” Trees can pick up substances such as mercury, sulfur, or chlorine from the soil in which they grow. 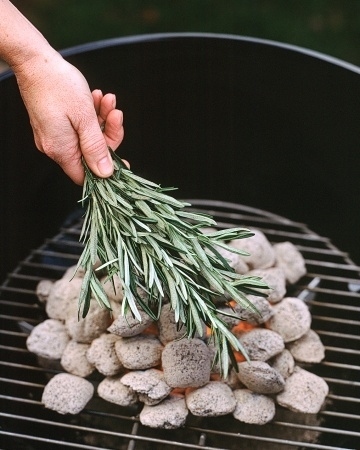 And if the wood is not properly seasoned or wet, combustion will be less complete. (See below.) Not only will the stove give off less heat, it will pollute more. One concern this winter is that people may decide to fire up an old wood-burning stove. “We’re still getting calls from people who have these 30-year-old [wood stoves] that their uncle gave them,” says Bob Christensen, the owner of En-R-Gy Saver Inc. in Holliston, Mass., which sells six brands of wood and pellet stoves. His stove sales are up about 50 percent this year over last. The poster child of wood-heat pollution is the outdoor boiler, a wood furnace located in a separate outbuilding that sends hot water through underground pipes to a home or business. Outdoor wood boilers can emit 206 times more pollution than an oil furnace, or about 3,000 to 5,000 times more than a natural gas furnace, Rector says. They are often a source of complaints from neighbors who don’t appreciate being bathed in smoke. Maine, New Hampshire, and Vermont have moved to set emissions standards on outdoor boilers. Manufacturers are getting the message, saysDeidra Darsa, a spokeswoman for HPBA. “They have done an incredible job in turning their products around in the last year or so and come up with some very clean-burning products,” she says. The EPA is also engaged with outdoor boiler manufacturers to set up new emissions guidelines. Because of its pollutants, wood-burning in general is most appropriate “at the urban fringe and beyond,” not in cities, which are already dealing with many other sources of air pollution, says John Gulland, cofounder of woodheat.org, a nonprofit website that aims to offer impartial information about firewood and wood-burning stoves. Just like oil and gas, wood gives off carbon dioxide and other greenhouse gases when burned. But it also offers some carbon-saving benefits that make judging its effects on global warming difficult. “I like to call it ‘75 percent carbon neutral,’ ” Mr. Gulland says. While wood burning does release carbon dioxide and methane, advocates argue that the trees would do that anyway in the forest as they die, fall over, and decompose. But only a portion of the CO2 from decomposition enters the atmosphere. Some remains in the soil. Meanwhile, forests absorb carbon dioxide, so maintaining forested areas that are harvested for wood is a carbon plus. And if the wood being burned is scrap from a sawmill, for example, then no additional trees are being felled and no additional carbon created. The question can quickly get knotty. • Use a properly installed and vented EPA-certified wood stove. • Season wood outdoors through the summer and for at least six months. Properly seasoned wood is darker, has cracks in the end grain, and sounds hollow when smacked against another piece of wood. • Store wood outdoors, stacked neatly off the ground with the top covered. 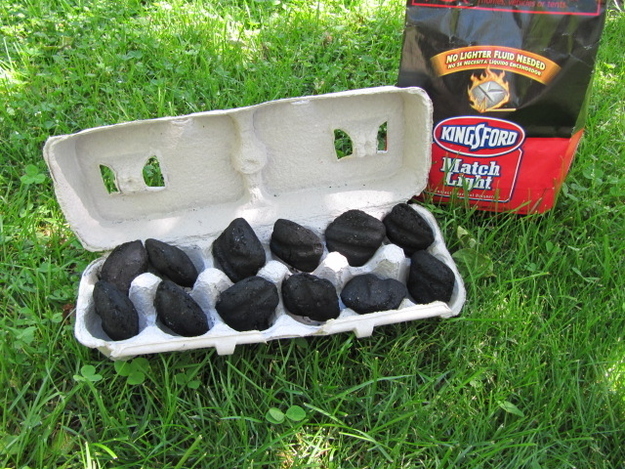 • Use clean newspaper and dry kindling to start fires. • Have the wood stove cleaned and inspected annually. • Don’t burn household trash or cardboard. Plastics and colored inks on magazines, boxes, and wrappers give off toxic chemicals when burned. • Never burn coated, painted, or pressure-treated wood, as it also releases toxic chemicals. • Never burn ocean driftwood, plywood, particle board, or any wood with glue on or in it. They all release harmful chemicals when burned. • Never burn wet, rotted, diseased, or moldy wood. Solar Powered Aquaponics Greenhouse Makes Year Round Growing Possible – Here’s another Off Grid World original design concept. It’s a modular aquaponics greenhouse made from converted recycled shipping containers. Each of the shipping containers are converted into mini-greenhouses which also makes the whole thing portable. A large pond (fish tank) is constructed in the ground, or in a large water tank, the repurposed shipping container greenhouse modules are stacked two levels high, and arranged in a hexagon shape around the pond, and a geodesic dome is placed on the top to cover the whole unit sealing it off from the weather outside creating a self sustainable garden biome. First, take a standard ISBU 40′ “high cube” (extra high at about 9″ tall vs 8 feet tall for the standard 40′ container; this adds approximately 344 cubic feet of space inside) shipping container and cut out the sides and the ends. The square footage remains the same at about 320sft per 40′ container. Since you’re removing the majority of the structural support when removing the sides, the sides and ends must be reinforced welded steel beams. Air conditioning seems to be one of those “necessities” we simply can’t do without in our modern society. But humanity has managed to spend most of its existence without air conditioning. Electromechanical air conditioning has only been around since the beginning of the 20th century. Let’s look at some of the things people did to stay cool before modern air conditioning came along. Building materials for homes were always something thick and heavy, some natural stone-like material that could mimic the rock surrounding a cave. The stone or brick act link a heat sink, absorbing the heat that is shining down on your home and trapping it, releasing it slowly later on. This keeps a large portion of the heat out of your house, making the interior more comfortable. Modern homes and buildings are built with lighter materials that allow the heat to pass right through them. If you have ever been in an old house, one built in the 19th century or early 20thcentury, you might have noticed the 10-foot ceilings. These served the purpose of climate control. Heat rises, so with such high ceilings, the heat would collect in the top 3 feet, leaving the cooler air closer to the floor. People tended to only use the upstairs in the evenings and at night, with the windows open. Ceiling fans have long been used to help cool a home and are especially effective when used with high ceilings. Fans can be set to pull the warm air up during the summer months (pushing it down during the winter), helping to keep the cooler air down by the floor. The idea behind the split-level home and basements was to find a way to keep part of the home underground, where it was cooler. This would allow for good food storage and for a cooler area of the house in which to live during the heat of the summer. Having trees planted so that they provide shade for the house was a common way to keep a house cool. The trees were traditionally planted on the east and west sides of the house, keeping the sun from heating up the interior in the morning and the evening. The trees would also cool down the breeze before it reached the house. Awnings and porches act in the same manner, shading the windows of a house to block the sun. 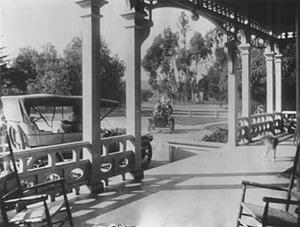 In fact, the porch is where people went to escape the heat of inside, where they could sit and socialize in the shade with a cool breeze. And have you ever noticed all those old houses with vines, such as English Ivy, all over them? Again, the vines helped keep the heat out of the structure. Having talked about the way homes were built prior to the invention of modern AC, most people don’t actually live in those kinds of homes. Even back then, a lot of people, particularly in big cities, lived in apartments. It is more likely that you live in a home built after the use of AC in homes became common place, something from the 1920s on, or that you live in an apartment building. Have your windows open from evening to morning and then close them and all window coverings before the morning sun can start sending its first rays in through the windows. This will help keep the heat of the day out and let the cool night air in. You can couple this with closing off the warm rooms in your home. Lights, particularly incandescent light bulbs, and electrical equipment generate heat. When it’s hot during the day, turn off all lights and only use them when necessary, even in the evenings. Turn off all electrical equipment and appliances, or better yet, unplug them. When you need to cook, do laundry, iron, or use any appliance that generates a significant amount of heat, do it during the hours when it is cooler, either early in the morning or in the evening. Get a clothesline and dry your clothes that way, instead of running the dryer. 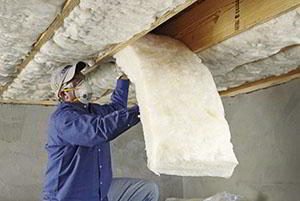 If you own your home, you can add extra insulation in the attic, which will help in all seasons. You can also add weather stripping, caulking, and other sealants around doors and windows to ensure you keep warm air out and cool air in. They say that back before air conditioning, when the nights were really hot, people used to sleep on their porches and people who lived in apartments took to their fire escapes. Chances are, you won’t see anyone doing that these days, although there is no reason people couldn’t. The thing is, if there is no way you can change your landscaping or add features to your home or if you live in an apartment, then you are going to have to find other ways to keep cool. Yes, you can leave your home and go to the movies, a museum, or the mall, but you can’t do that every day. Here are some unique ways to stay cool during the summer heat. This is an ideal way to keep cool, but it only works in low humidity environments. 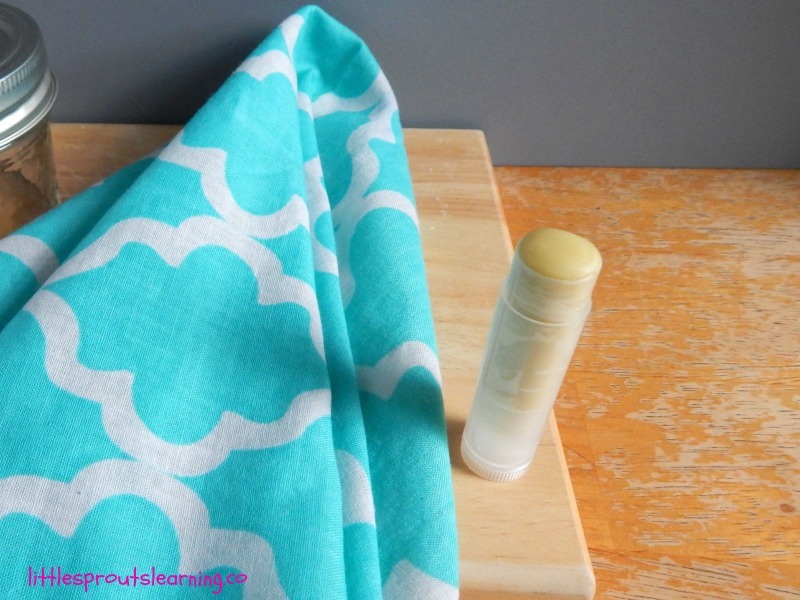 If you take old linens and tack them up over open windows and then spray down the linens to make them damp, they will keep your home very cool. The dampness in the sheets will evaporate, taking the heat with it. All you need to do is rewet the sheets when they get dry. This is not only a great way to keep cool, but it works even if you have no electricity. Note that the reason this doesn’t work in a high-humidity environment is that in humid air evaporation cannot take place as efficiently, if at all. You can also use water to keep yourself wet and cool. Keep your hair wet or wet a bandana and wrap it around your neck or head. You can also mist yourself, both skin and clothing, with a water bottle. Back in the 30’s, people were even known to put their underwear in the freezer before wearing it! If you have a nice breeze coming in your window, but it isn’t as cool as you would like, and you have electricity, you can make that breeze cooler. No, I’m not talking about a fan. You can do the following. Place a saucer on a windowsill and place a piece of paper towel over it. Then place a bowl on top of the paper towel and put ice in it. As the breeze blows through the window, the ice will cool it. 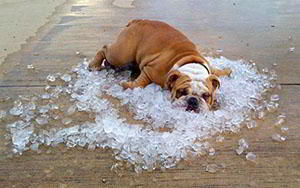 You just have to have enough ice to get you through the hot part of the day. 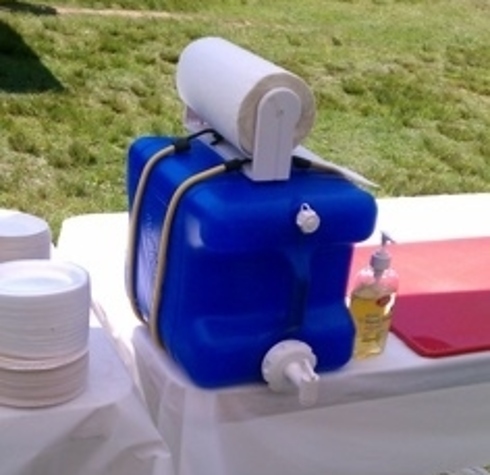 An alternative to this is to place the ice in a small cooler (regular or Styrofoam) and position a fan so it blows over the ice, creating a cool breeze. 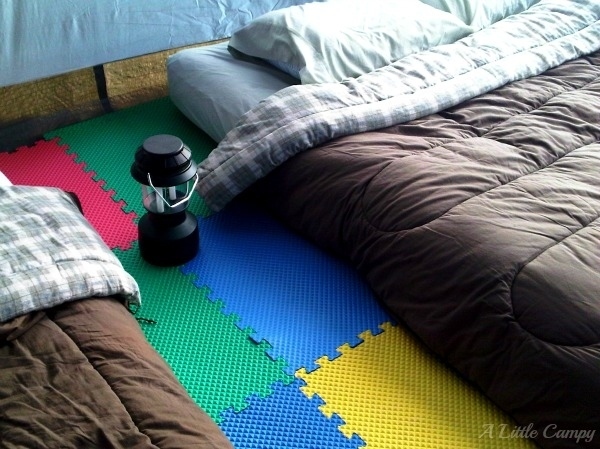 You can also make your bed cooler before you climb into it. You can dampen your sheet if you wish or you can stick your sheets in the freezer before going to bed. That way they will be very cool when you settle down, helping you stay comfortable while you fall asleep. Just be sure you use cotton sheets, as they are more breathable and cooler. A friend of mine, Steve, recently asked me, “What is the best way to deal with rashes from poison ivy?” I told him that the best way is to stay out of the poison ivy. Not only was he not satisfied with my answer, but also he asked me to do an article on skin rashes and such. Readers, this one goes out as a dedication to Steve, and if you guys and gals can’t take the initial advice I gave to him, perhaps this information will help you in your hiking and backpacking adventures! The topic of discussion for this article is hives, and we will present some facts about hives and some measures that may help those afflicted by them. 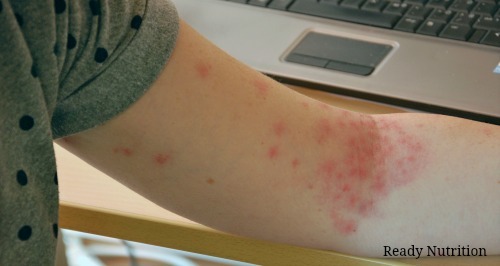 Hives are known in medical terminology as urticaria. Defined as such, urticaria consists of multiple, swollen, raised areas of the skin that itch for up to 24 hours, caused by allergens and the body’s immunoglobulin response to those actions. Hives can strike anyone, for multiple causes and reasons. To really understand how hives work, we have to understand the body’s histamine response. Histamine itself is a substance that is made from an amino acid, and it causes enlargement of blood vessels and a marked rise in the digestive acid production in the stomach, along with mucous production and bronchial constriction. Histamine is released from mast cells that are large cells that serve to produce inflammatory responses that are governed by immunoglobulin E. The mast cells and their mediators produce what is known as a type I hypersensitivity reaction (also known as an immediate hypersensitivity reaction) that lead to the sign-symptom of hives. Poison ivy (in my friend, Steve’s case) is one of the causes for a type I reaction. Regarding these explanations, urticaria (hives) is the result, not the cause, of the allergic reaction; however, they pose the problem, albeit short-term. The actual causes are too numerous to count and can simply be expressed as being anything. Such a statement means that depending on the individual immunoglobulin response (that is unique per each individual), there is no one thing (generally) to affect all humans. When a person examines their recent activities leading up to the reaction, it is possible through process of elimination to find the actual cause. In Steve’s case, he knew that he had been in the poison ivy and didn’t need to narrow down the search so much. The histamine response is akin to a jigsaw puzzle in terms of illustration of function, albeit an oversimplification. With an allergic reaction, the offending particle that causes it binds to a tissue receptor site. This site is the source of the production of the process regarding the immunoglobulin. The resultant irritation (the hives) stems from histamine production and the irritation of the affected tissue. There are drugs that block these receptor-sites involved in producing histamine (basically the substance triggering the allergic response); these sites are known as H-1 (histamine) receptors. The allergen (offending irritant) triggers the histamine production. What the medications do is function as a tailor-made jigsaw puzzle piece. They “fit” into the receptor site and block the production of histamine, thereby either preventing or minimizing the allergic response, and thus eliminating or lessening the hives. Such drugs are known asantihistamines. The greatest rule to follow is to avoid any known allergens and particles that cause such problems. One common medication that lowers the allergic reaction is benadryl (diphenhydramine HCl); it functions by blocking the production of histamine as outlined. 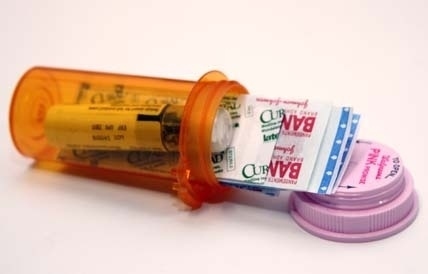 Benadryl is available over-the-counter, and it is useful in many applications, such as bee stings and insect bites to severe allergic reactions. Naturopathic aids are not so readily identifiable to lower the allergic response; the focus of concentration must be placed more on palliative-supportive measures than preventing the reaction. As mentioned earlier, the reactions are case-by-case and specific to the individual afflicted. The first step is to know the things that trigger allergies…. for you, and in this manner you can avoid contact with them. Pollen-allergic individuals (in this vein) surely know it is not beneficial to walk through a field of Canadian Goldenrod. Once again, knowing yourself and exercising good common sense are the keys to good preventative health care. Lavender (in the form of an infusion or a bath) is an excellent natural product to help soothe and cool afflicted skin. Remember, this is a supportive measure: it does not deal with the root of the problem. 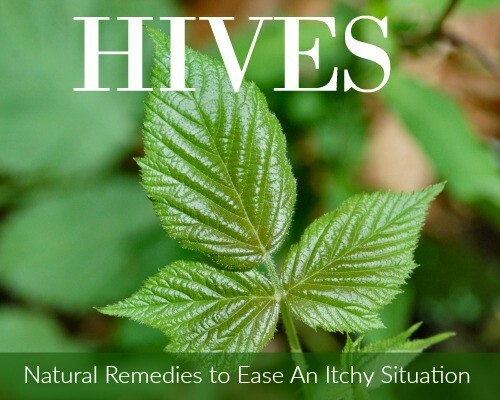 If you are experiencing hives, you need to determine the source of the irritation. Ask questions of yourself. Are you being exposed to dust, soot, smoke, or particulate matter that may be irritating your skin? Are you eating different foods or using different sources for those meals? Are you using any medications that you normally do not use? Have you changed dry cleaners or laundry detergents recently? 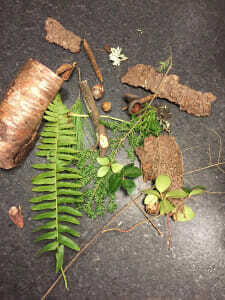 If you’ve been outdoors camping or bivouacking in the woods, what plants were you near? Are you allergic to any of them? 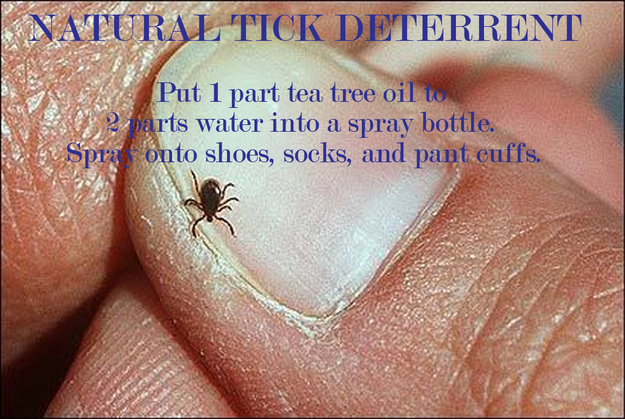 Number One: take action to identify the cause of the irritation (the hives). Number Three: seek professional medical help if the hives persist. 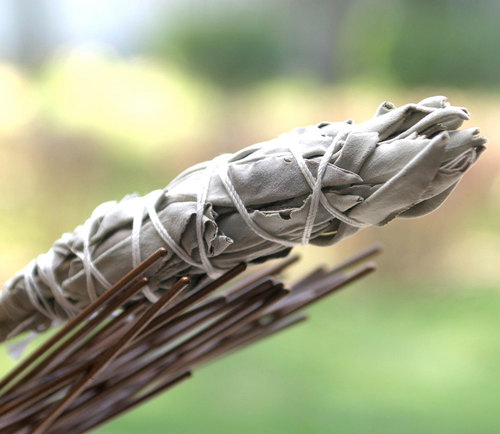 Hyssop is another cleansing herb that can be used externally to help with anything of an infective and antimicrobial nature. Make a decoction with it and use it as an astringent/body wash. The washing is most important (except, of course, if your water supply is the source of the irritation). The latter condition is known as aquagenic urticaria, in essence hives that are produced by ordinary water in contact with the skin. Washing (in most other cases) will remove the irritants from the skin and allow the hypersensitivity reactions to abate. Remember, most urticaria lasts for 24 hours; this is a good measuring guideline for you. If it runs longer than this, it would be a good idea to visit your family doctor. Be prepared to give the doctor a rundown on your activities and where you slept (sleeping bag, tent, or “roughing” it under the stars on pine boughs). Knowing these basic first aid and skin care measures can help you in your excursions. Another thing to keep in mind: autumn brings on changes in the plants, pollen, and humidity in the air; seasonal changes and weather fluctuations can cause things that would not normally be harmful to act as allergens on you. Above all things, be safe, and enjoy the rest of the summer and your outdoor adventures! Whether it’s a natural disaster like a flood, or you simply need to cross a body of water to get to safety, a raft will be very handy. It’s important to remember that it’s not always a good idea to swim in these situations, even if you have the skills. The risks involved may be too many. After all, there is no point in trying to be a hero in survival situations. The goal is to come out alive. Carrying a life raft is not a good idea, and stuffing it into your bug out bag is impossible. 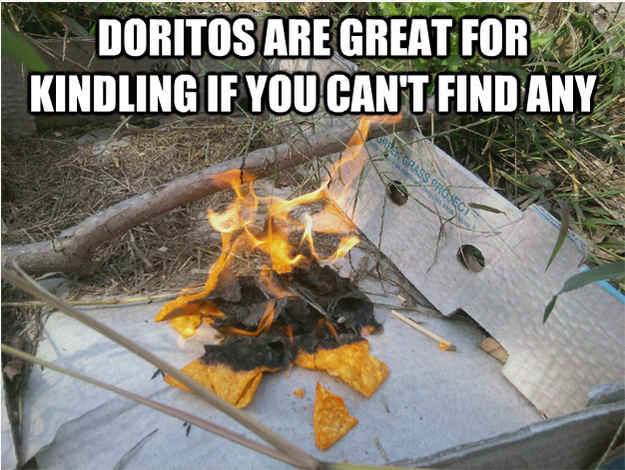 But with a knife, some long branches, cordage and trash bags you can build your own emergency raft. Check out the following video to learn how!